Link, Cartridge, Metallic Belt, CAL.50, M-9, Case of 2,000 NIB, M2HB. Case of 2,000 M9 .50 caliber links. Packed in individual ten link cardboard tube, for use in linking maching and for ease of placement on the M7 ten round linker. US GI, NOS Condition. Shipping size and weight: 20" x 17" x 12", 93lbs. HEAVY. 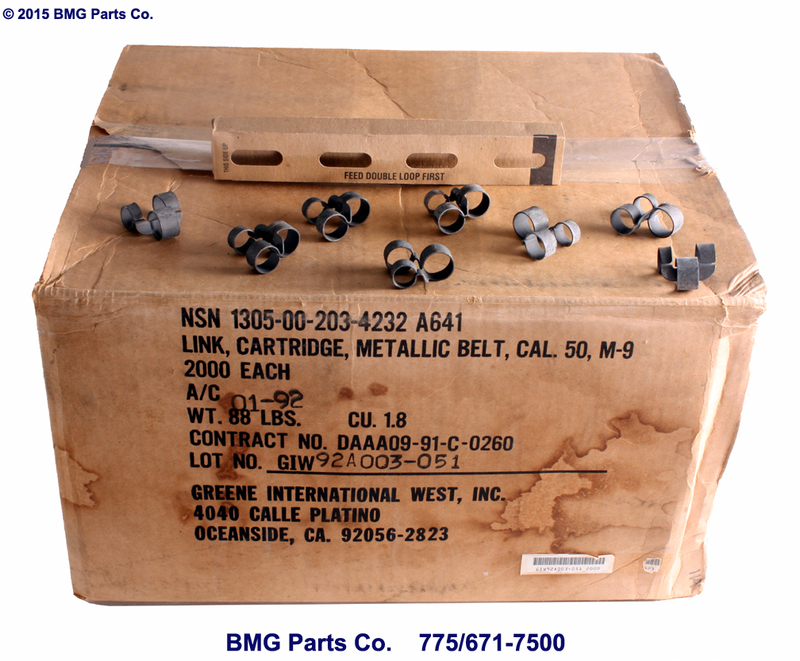 Link, Cartridge, Metallic Belt, CAL.50, M-9, Pack of 100, M2HB. Qty. 100 M9 .50 caliber links. Packed in individual ten link cardboard tube, for use in linking maching and for ease of placement on the M7 ten round linker. US GI, NOS Condition. M2HB 45" Heavy Barrel, Steel. . US GI, NOS Condition. Barrel, M2HB .50 cal., Stellite. M2HB Stellite Lined 45" heavy barrel. US GI, NOS Condition. Barrel, M2HB .50 cal., Display/Dummy. M2HB 45" heavy barrel. Display/Dummy Gun Barrel. 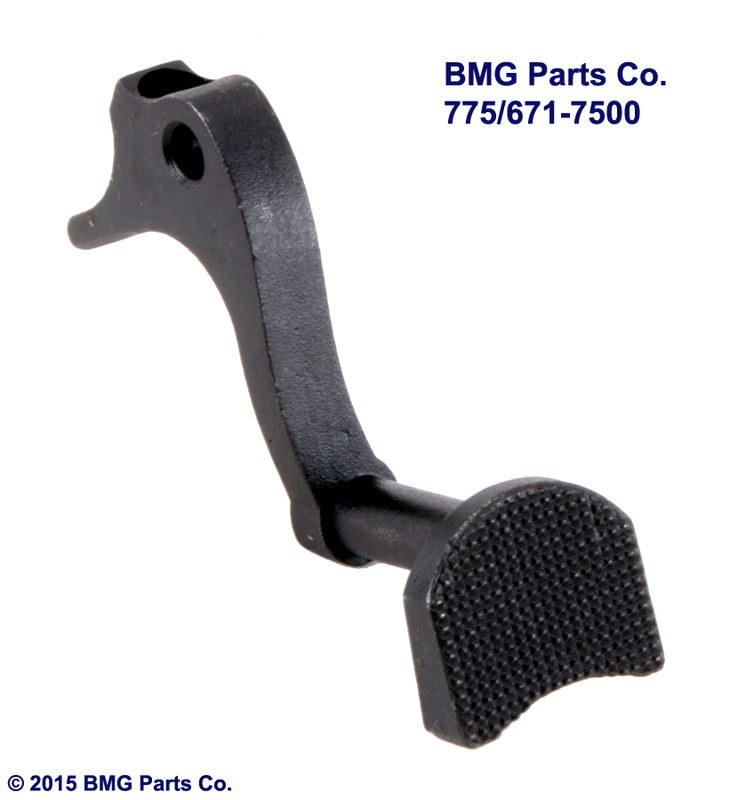 QCB style single carry handle notch. Will accept the standard wire handle or the new FN style handle, not included, but available. These are factory new barrels that are rifled, but have an 1/2" diameter breech, for use as a dummy or display only. Parkerized/Black. Great for that gas gun project! US GI, New Condition. Cover, Barrel, M2 .50 cal., Early. M2, 45 inch early (RARE) WWII barrel cover. Also fits the 36 inch .50 caliber aircraft Barrel. US GI, Good Condition. Cover, Barrel, M2 .50 cal., Late. M2, 45 inch late barrel cover, with provision for carry handle. US GI, NOS Condition. Sleeve, Barrel, M2HB .50 cal. M2HB barrel Sleeve, Black. 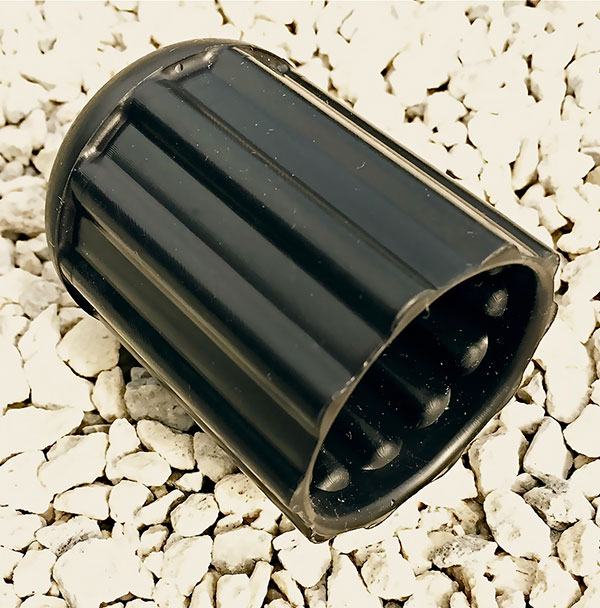 M2 Barrel Sleeve will resist the extreme heat generated from the barrel; thus, protecting operators and gear from accidental burns while changing or handling a hot barrel. The M2 sleeve also helps to reduce mirage and IR signature. The Sleeve can remain on the barrel at all times including during sustained or automatic fire. The Barrel Sleeve will not melt! US GI, NOS Condition. M2HB barrel Sleeve, Orange (Black shown). 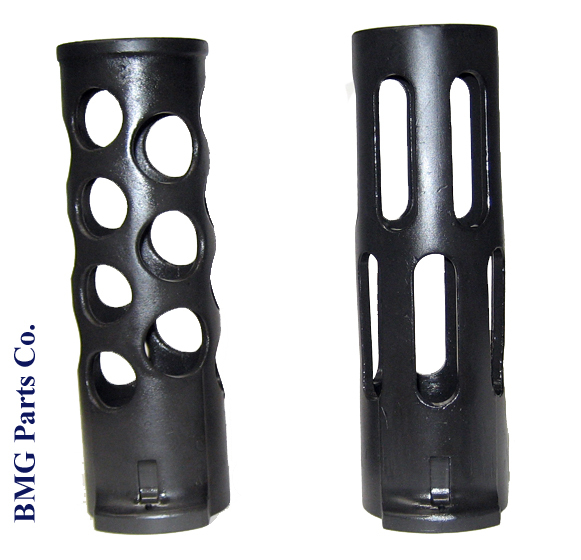 M2BC is a �rubber like� flexible polymer heat resistant cap that protects both ends of a M2 or M2A1 barrel. 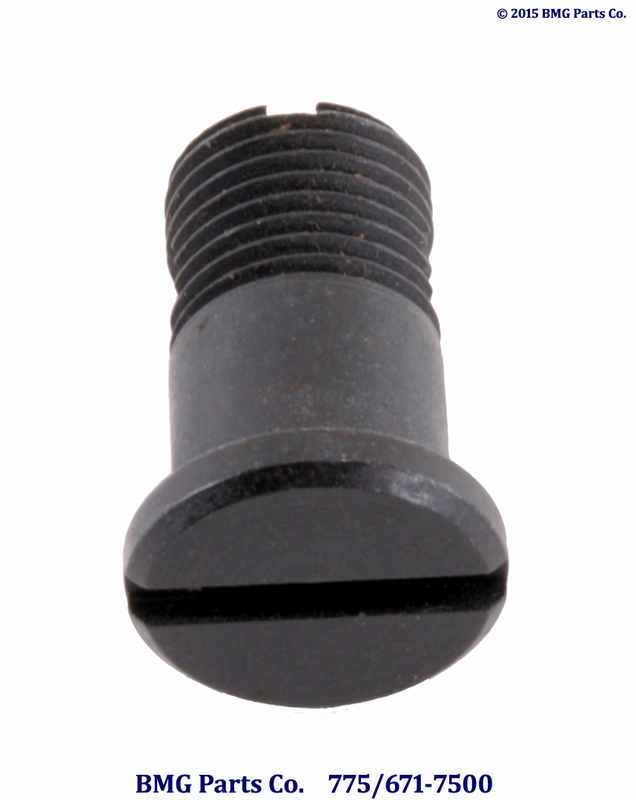 The Cap is universal and will conform to the shape of the barrel and are able to be installed on the threaded end or muzzle end of the barrel. 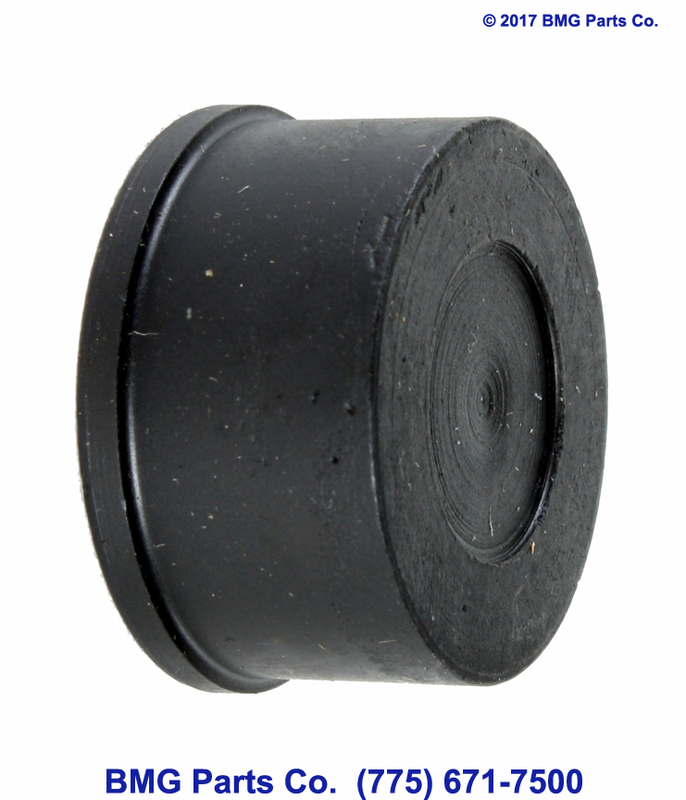 The cap will prevent damage to the threads and block dirt and debris from entering the barrel. The heat resistant material will allow caps to be installed even when the barrel is hot. Cap can be left on while a barrel is stowed or left on the muzzle end, once the barrel is installed. Caps will be removed or shot off of the muzzle end of the barrel before or during live fire. No tools are necessary for installation or removal. Item is compatible with either legacy M2HB or the newer M2A1 type barrels. US GI, NOS Condition. will hold 200 rounds of .50 Cal. BMG Ammo. Mounts directly onto a M-45 Quad Mount, M-33 Twin Mount and M-63AA Mount. 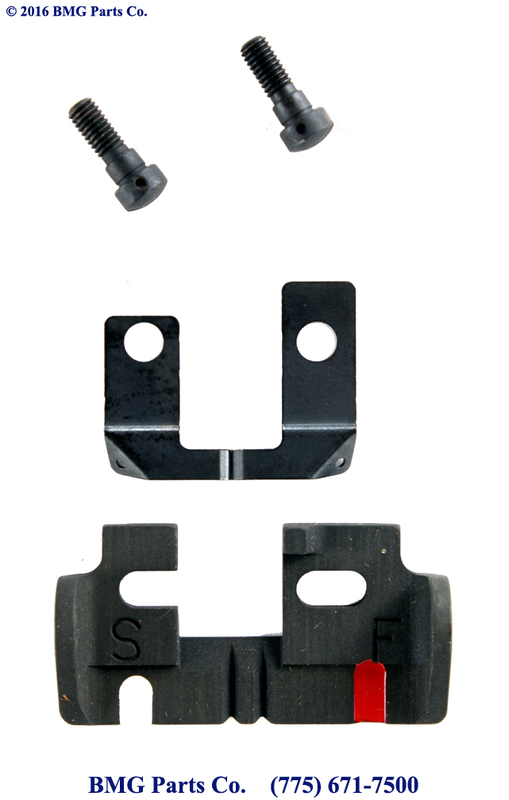 Fit's on other mounts and cradle assemblies. OD Green. Basic Crank is now included! US GI, Surplus condition. 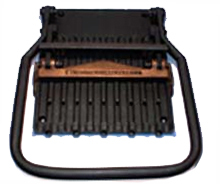 Drum Magazine, US Navy, .50 cal. 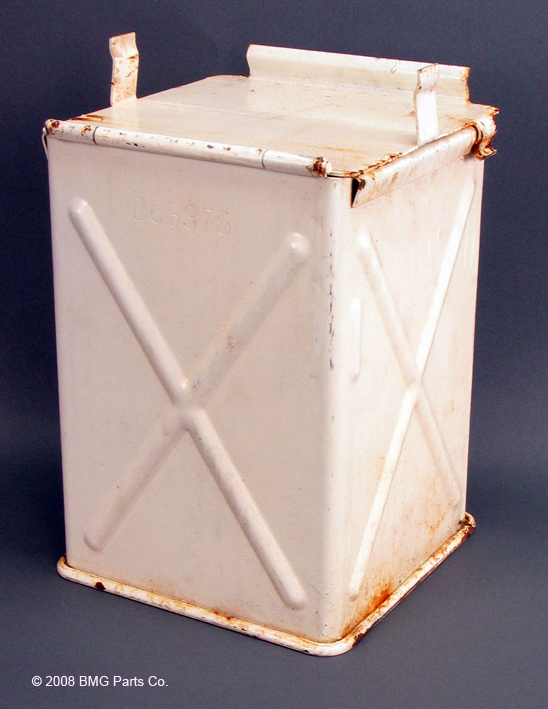 This Rare Drum Magazine can be seen in many WWII Naval photos. Used on Naval deck mount guns. Capacity: 200 rounds of .50 Cal. BMG Ammo. 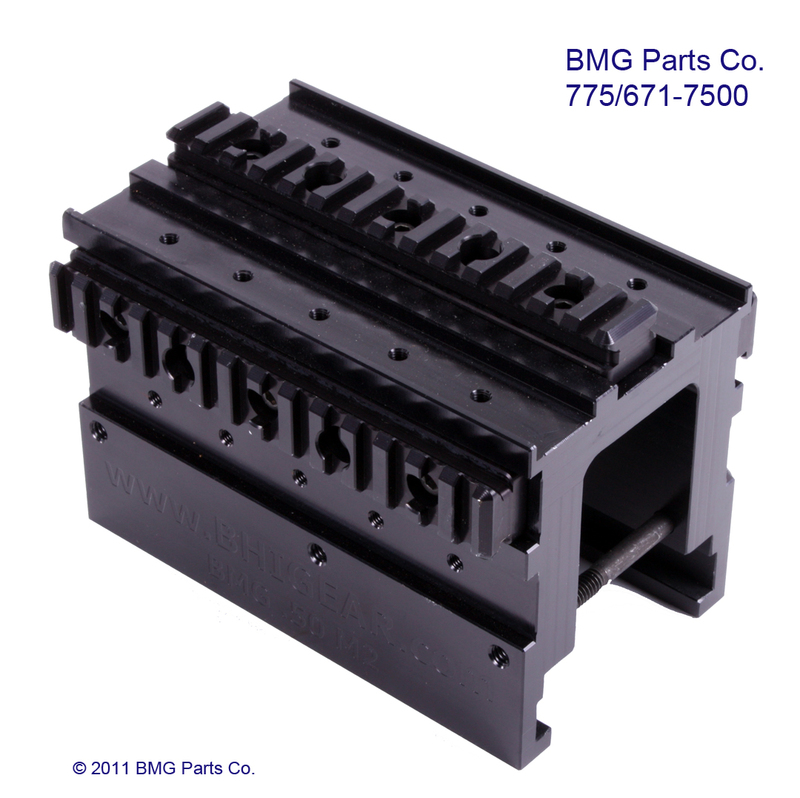 Mounts directly onto most Naval Mounts or modified Ground Mount ammo tray brackets. WWII Dated. Navy Grey, US GI, Excellent condition. No Dents or rust. 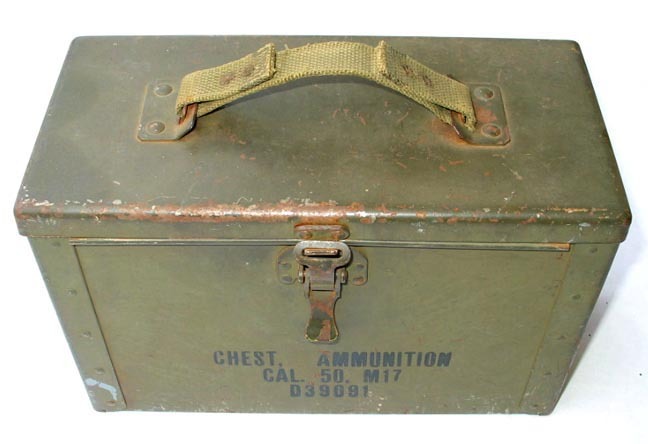 M17, Early style .50 caliber ammunition chest. US GI, Excellent Condition. 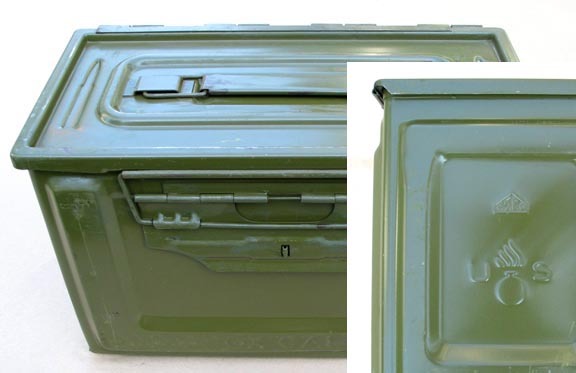 Ammo Can, Tank, .50 cal. 0134-65-68375, Chest, .50 cal., Ammo, Turret, Plat. Assy. US GI, Excellent Condition. Early style WWII .50 caliber ammo can. Some surface rust, will clean up. US GI, Surplus Condition. .50 caliber Trunnion Protector, Stainless Steel. 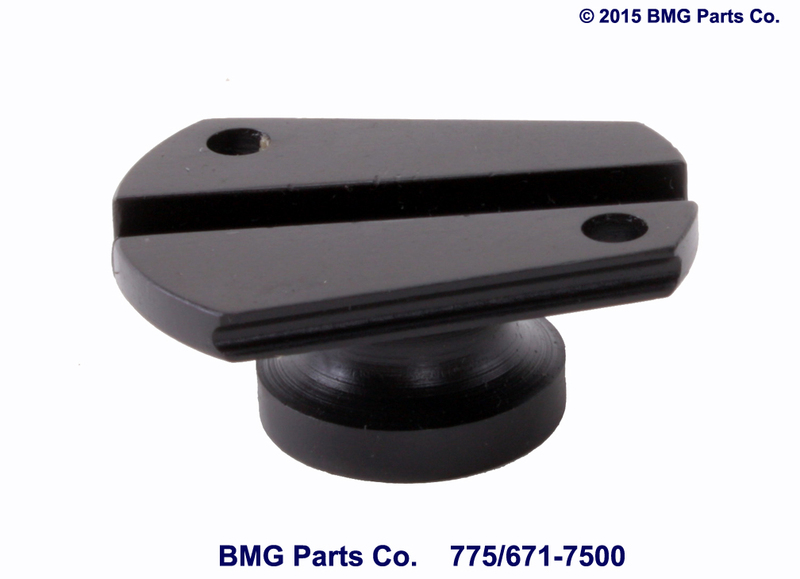 Protects against trunnion damage, from metal links. New Condition. 50 or 110 Round Cloth Belt. .50 Cal. OD Green. "Original US". US GI, NOS Condition. 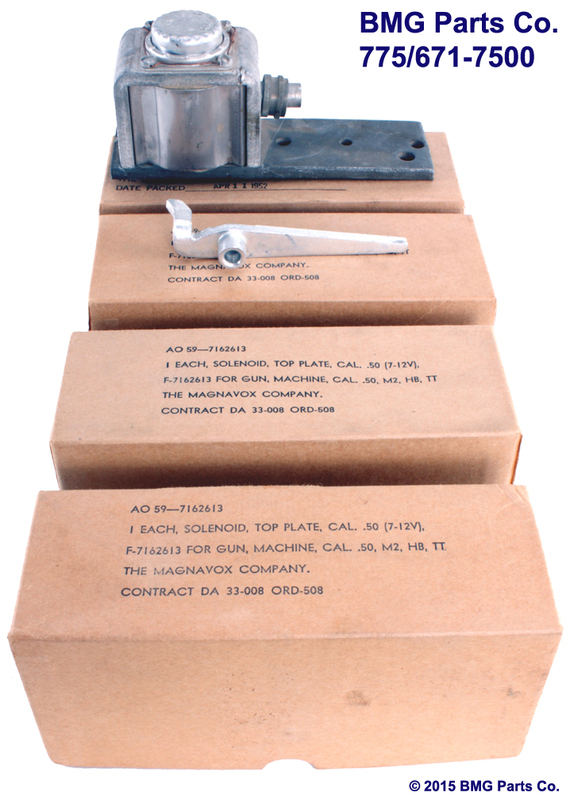 Hi-Cap Notice: Ammunition Belts and Magazines cannot be shipped to CA; HI; South Bend, IN; Wichita, KS; MD; NJ; NY; D.C.; MA; Canada or Puerto Rico. Please check your State, County and City laws for restrictions before ordering Ammunition Belts or Magazines. .50 caliber Link Chute, mounts to pawl bracket. US GI, NOS Condition. Bag, Canvas, Link, .50 cal. 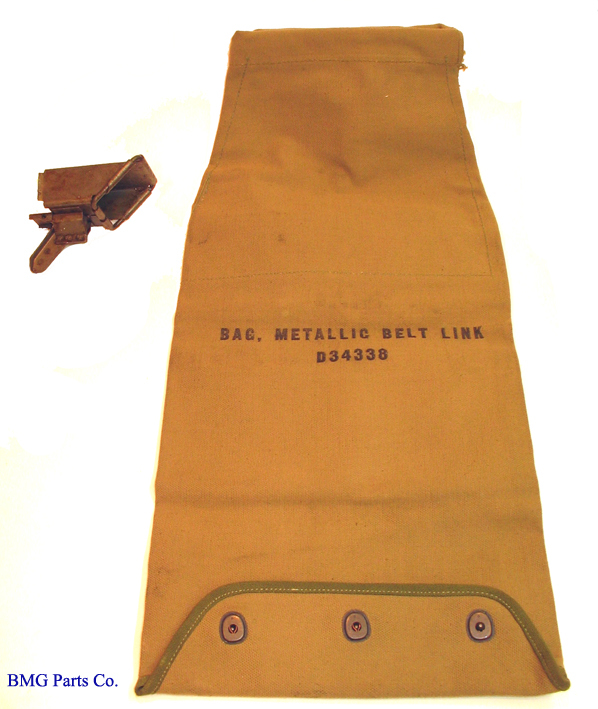 .50 caliber link bag, mounts to link chute. US GI, NOS Condition. .50 caliber link bag, mounts to link chute. These are used and may have rusted or crusty zippers, stains, etc. US GI, Used/Surplus Condition. M2 .50 cal. Link Chute and Bag Set. Original WWII Issue, New in the wrap. US GI, NOS Condition. M2 .50 cal. Canvas Cover, with provision for the 100 round ammo box. Original WWII Issue, New in the wrap. We are running out of this item. US GI, NOS Condition. M2 .50 cal. Vinyl Cover, with provision for the 100 round ammo box. US GI, Excellent Condition. Vinyl Cover, Overall, M2HB, M127. M127 .50 cal. ANM2/M2HB Overall Vinyl Cover, Includes pedestal cover, without provision for the 100 round ammo box. US GI, Excellent Condition. Vinyl Cover, Overall, Protective, M2HB, ANM2. Protective cover .50 cal. 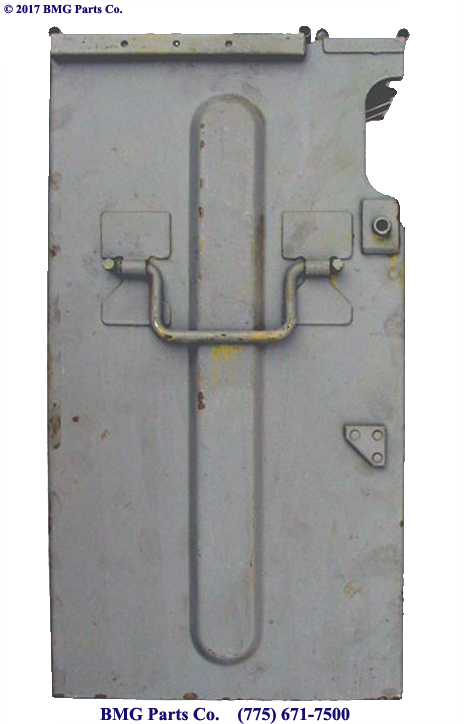 ANM2/M3/M2HB Overall Vinyl Cover, Provisioned for ammo box. US GI, NOS Condition. M2 .50 cal. and ANM2 .40 cal. Auxilary Trigger, with hand control. US GI, Excellent Condition. M2 HB Flash Hider. US GI, Good Condition. Split Ring, Set, Flash Hider, M2HB. 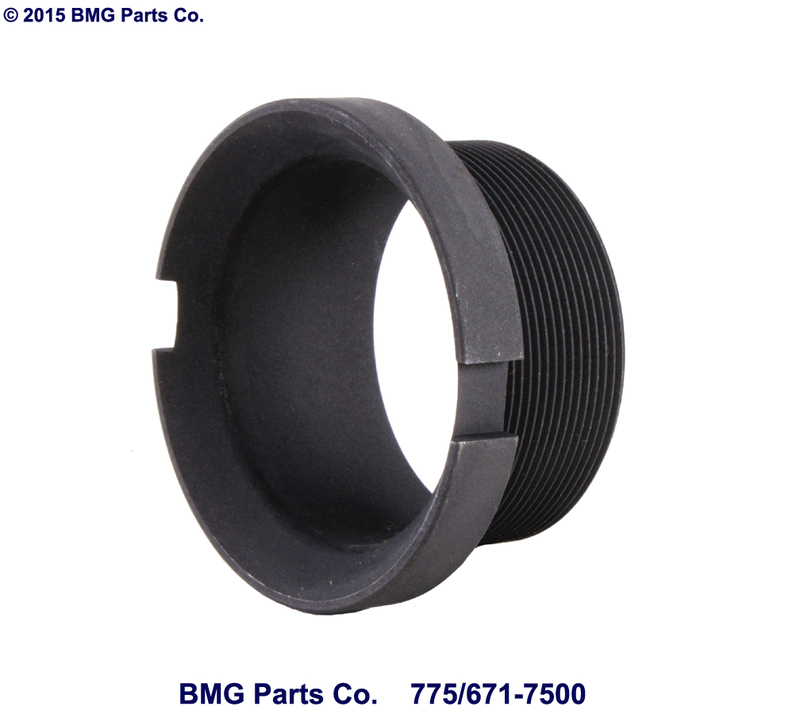 Split Ring Set for the M2 HB Flash Hider. US GI, NOS Condition. Carry Handle, .50 cal. HB. Carry Handle, .50 cal. M2 HB Barrel. US GI, NOS Condition. Handle, Carry, FN, M2HB, QCB. FN M2HB QCB Style, Quick Release, Carry Handle. Will fit all M2HB barrels. NSN: 1005-01-539-3410. New Condition. 50 cal. Extractor, Case, Ruptured, Straight. .50 caliber Ruptured Cartridge Case Extractor. Straight Type. US GI, NOS Condition. 50 cal. Extractor, Cartridge, Ruptured, Lever Type. .50 caliber Broken Cartridge Case Extractor. WWII Lever Type. US GI, NOS Condition. M7 Linker/De-linker. Links and De-links ten rounds of .50 Cal. 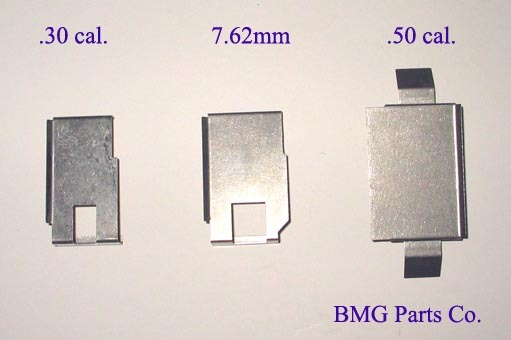 BMG Ammunition. All Steel. US GI, NOS Condition. 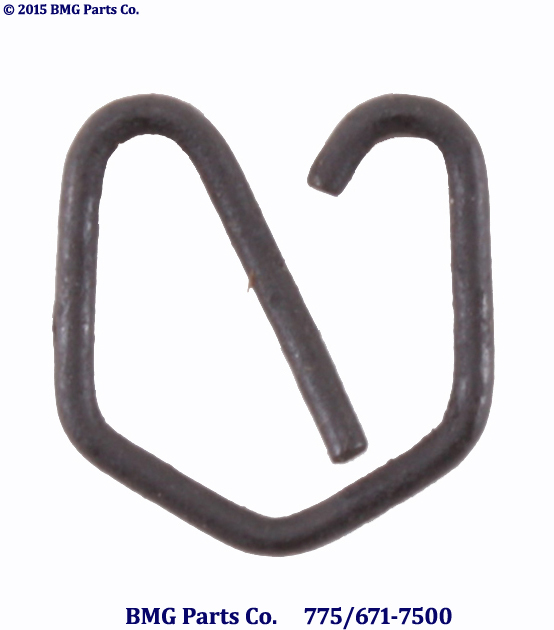 M-12 Hand Linker/De-linker, .50 Caliber. M-12 .50 Caliber Hand Linker/De-linker (FSN# 41-6-1604). Early Style. US, GI, NOS Condition. M-20 Hand Linker/De-linker 1005-714-6365. Late Style. US GI, NOS Condition. Wrench Muzzle/Combo. .50 Cal. NOS Condition. Wrench, Spanner, .50 cal., BMG. 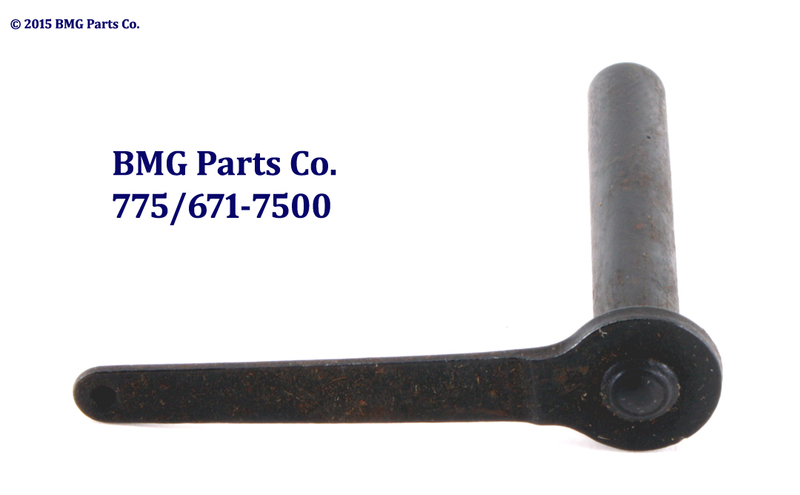 Spanner wrench for the Browning M2HB. One end services the Barrel Support and the other end services the M2HB barrel. US GI, NOS Condition. Water cooled barrel holding wrench. US GI, NOS Condition. M2 Water Cooled Rear Packing Gland Wrench. US GI, NOS Condition. Wrench, Spanner, Grips, .50 cal. 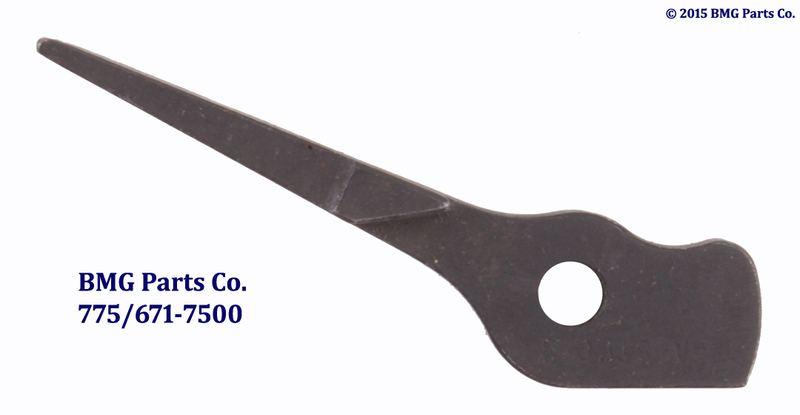 Spanner wrench for the .50 caliber Browning grip screws. US GI, NOS Condition. 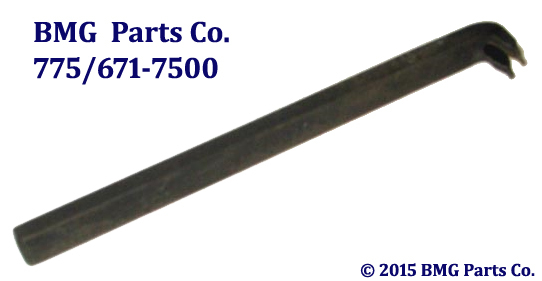 Wrench, Spanner, Grips, .50 cal., Commercial. 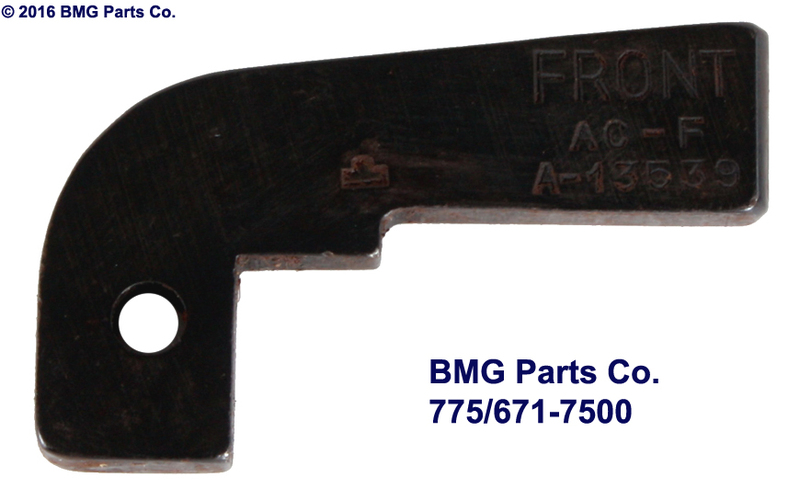 Commercial Spanner wrench for the .50 caliber Browning grip screws. US GI, NOS Condition. Combo Wrench/Gauge. No Box, Photo for Illustration only! US GI, Excellent Condition. M2 T&E Spanner Wrench. US GI, NOS condition. Headspace and Timing Gauge, .50 cal. M2 .50 caliber Headspace and Timing Gauge. US GI, NEW Condition. M2 .50 cal. Bore Reflector. Various types may be available, when available. Early WWII Brass type is in stock. US GI, NOS Condition. Headspace and Timing Gauge, .50 cal., Early. One Piece, Early Style, M2 .50 caliber Headspace and Timing Gauge. US GI, Excellent Condition. Gauge, Barrel, Wear, .50 caliber. .50 caliber barrel wear gauge set, with box. US GI, Surplus Condition. Breech bore gauge. US GI, Good Condition. Gauge, Breech Bore, .50 caliber. 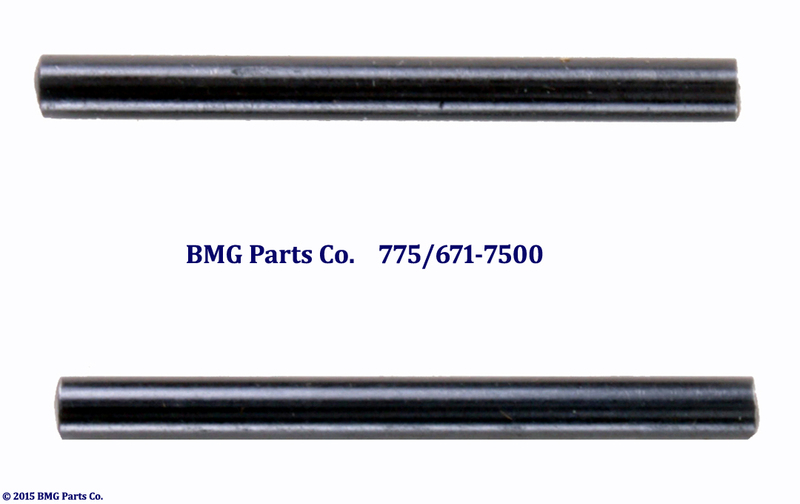 .50 caliber Breech bore gauge. US GI, NOS Condition. 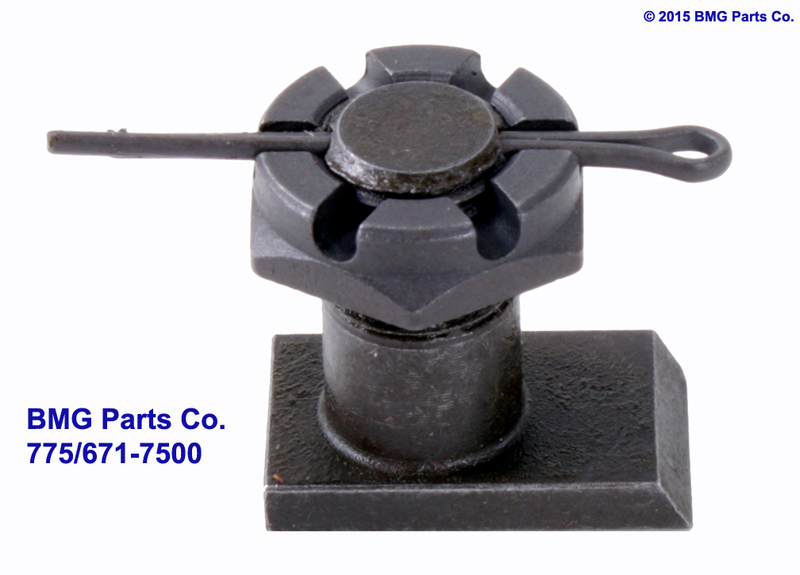 Tool, Assembly, Firing Pin, .50 cal. 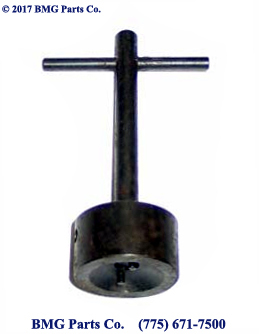 Firing Pin Assembly Tool. US GI, NOS Condition. Tool, Buffer Spring, Release, .50 cal. Buffer Spring Release Tool. US GI, NOS Condition. M2 Oil Buffer Gauge. US GI, NOS condition. 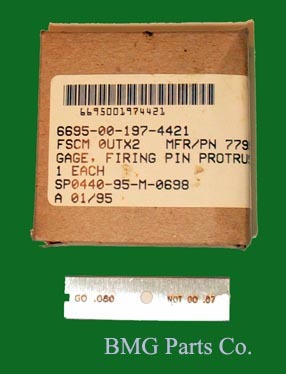 Gauge Plug Plain Cylindrical Firing Pin Hole, new in the wrap. US GI, NOS Condition. Gauge, Trigger Pin Hole, Machine Gun, Cal., .50, M2 Heavy. New in the wrap. US GI, NOS Condition. Gauge, Protrusion, Firing Pin, .50 cal. 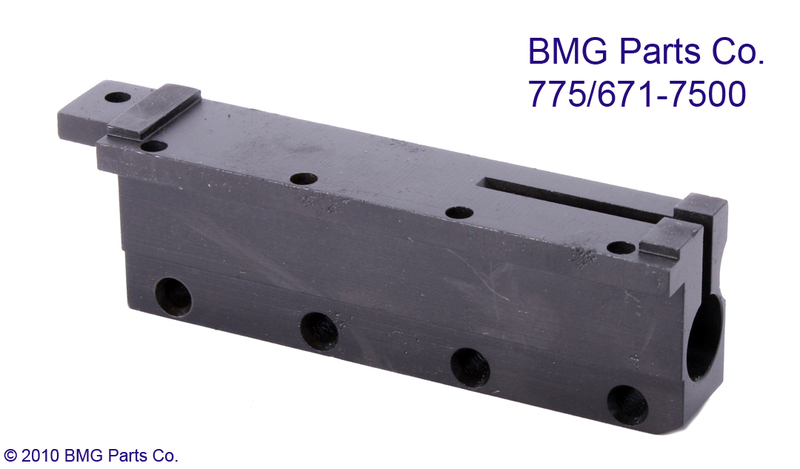 BMG .50 caliber firing pin protrusion gauge. US GI, NOS Condition. Cleaning Rod, .50 cal., M7. .50 caliber Cleaning Rod Set, M7, No Box. US GI, NOS Condition. WWII M-6 (M2/M3) .50 cal. Single Piece Cleaning Rod. 51", Various type handles available. US GI, NOS Condition. 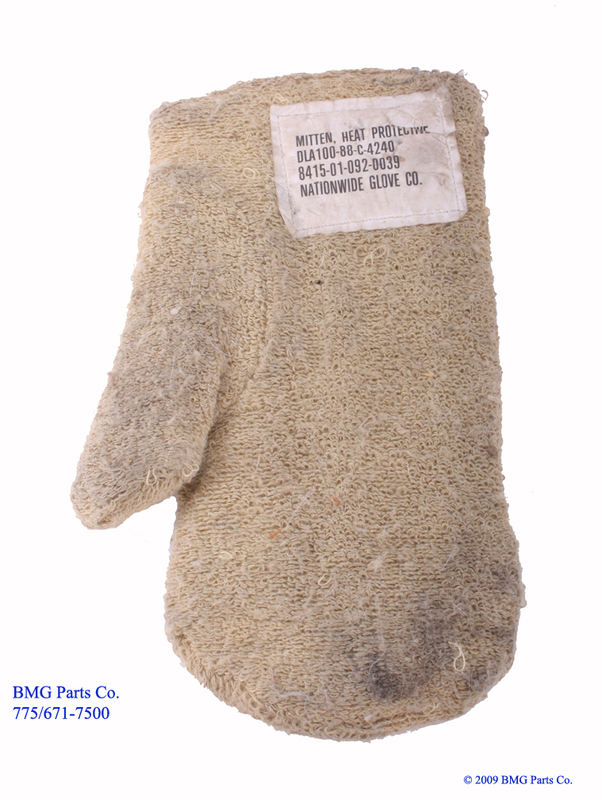 WWII Cleaning Kit, .50 cal., M-15. 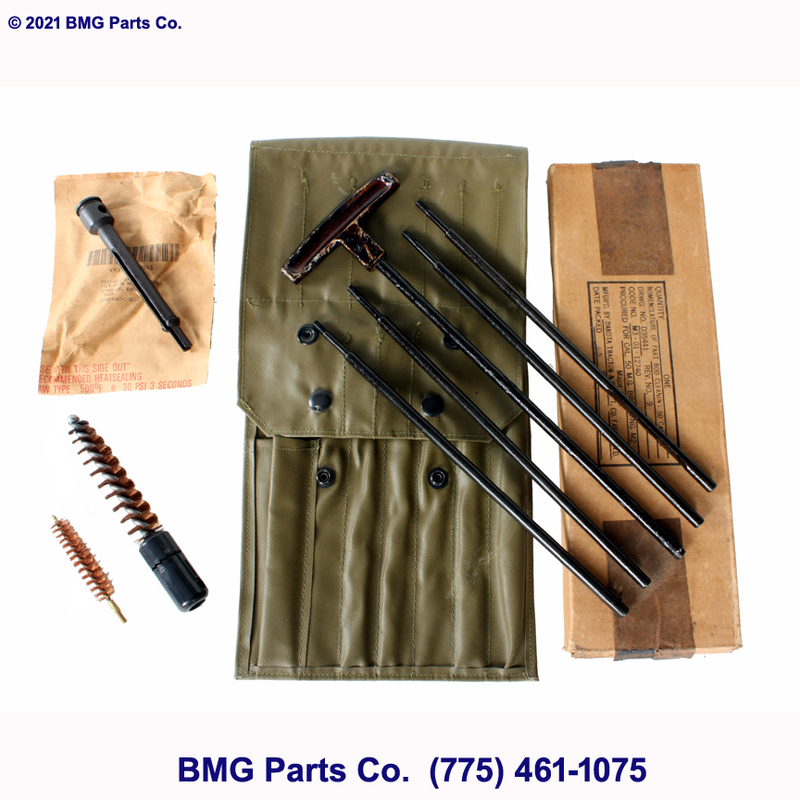 M-15 .50 caliber cleaning kit,New WWII "original" canvas case and rods. Brushes available. US GI, NOS to Good Condition. Case, Canvas, .50 cal., M-15. Canvas Case, M-15, .50 caliber cleaning rods. Case Only! US GI, Good Condition. .50 caliber Cleaning Kit, vinyl case, rod set, one bore brush and one chamber brush. Broken Cartridge Extractor, included. US GI, NOS Condition. Broken Cartridge Extractor is Included with this kit. $149.95 Plus Shipping. Brush, Cleaning, Chamber, .50 cal. .50 caliber Chamber Brush. Ratchet Type. US GI, NOS Condition. Brush, Cleaning, Chamber, .50 cal., Ten Pack. Ten Pack, .50 caliber Chamber Brush. Ratchet Type, 1005-766-0915. US GI, NOS Condition. .50 caliber Bore cleaning brush. 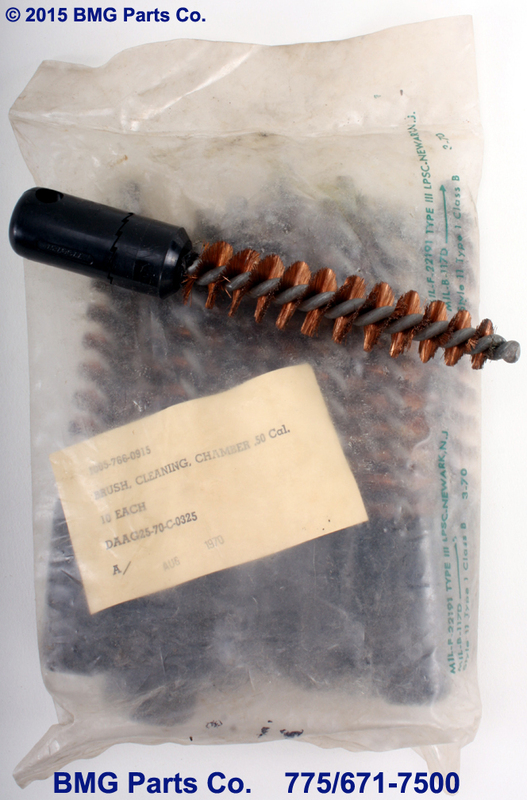 US GI, NOS condition..
Brush, Cleaning, Firing Pin Hole, Cal.50. 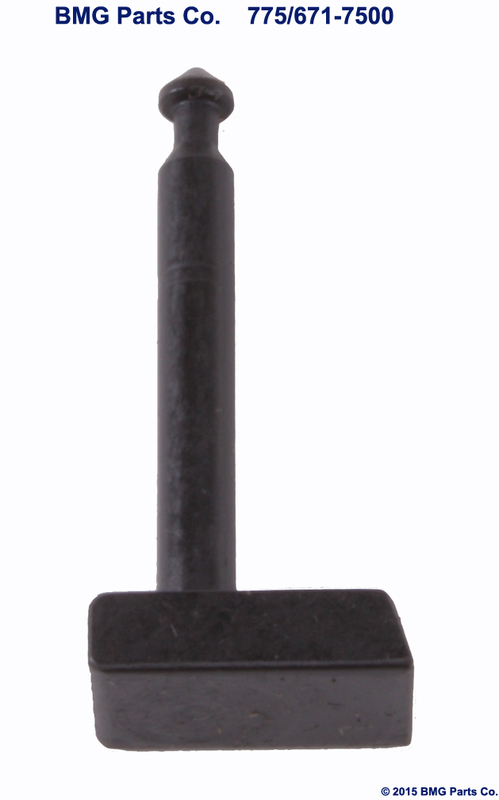 .50 caliber firing pin hole cleaning brush. US GI, NOS condition..
Blank Firing Adapter, M-19 BFA. 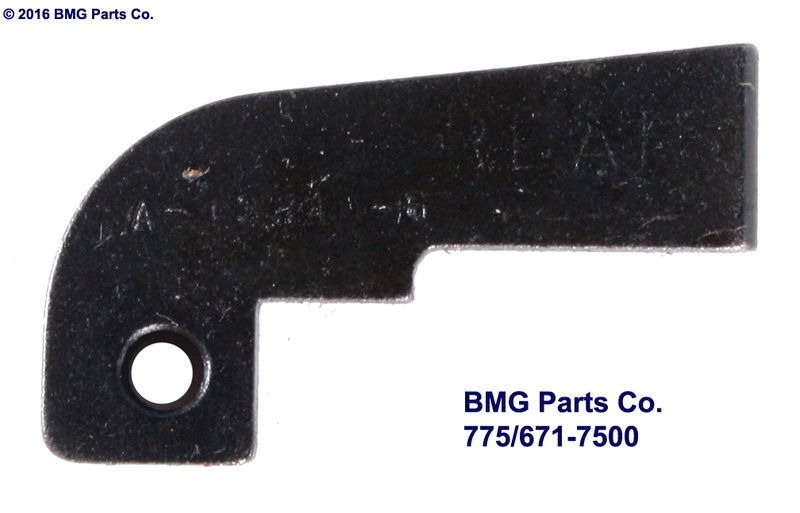 Blank Firing Adapter 9324931 (1005010917510) for the Browning M2 HB. Complete with Live Cartridge Stop, Pawl Pin, Manual. 4 1/2" x 4 1/2" x 32 1/2", 16 lbs. US GI, Good Condition. 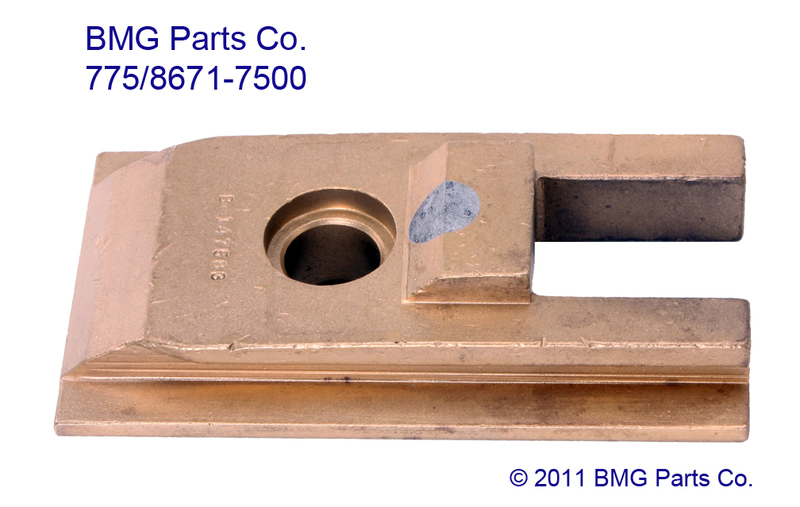 Clamp Assembly, Spring, M-13, Cal.50. 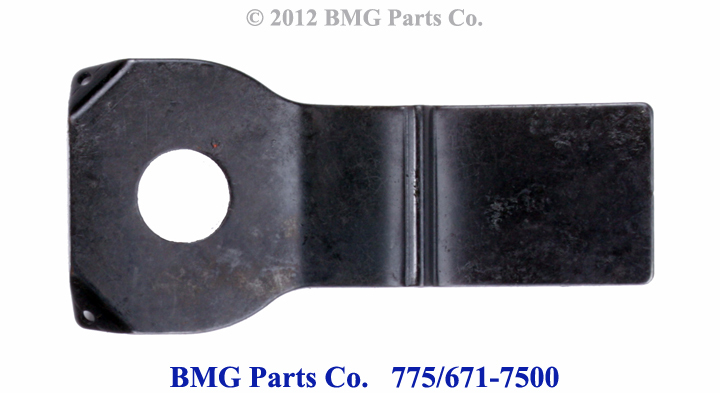 M-13 Clamp Assembly Spring for ANM2/M2HB Back Plate. Supports Trigger Solenoid Cable. 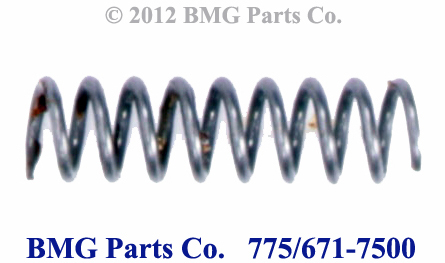 US GI, NOS condition..
M-1 Clip Assembly Spring for ANM2/M2HB Back Plate, 1005-607-2403. Supports Trigger Solenoid Cable. 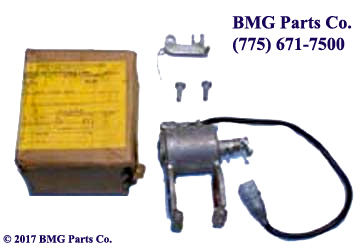 US GI, NOS condition..
M2/M3 Trigger Solenoid, G-9, Side-Mount. US GI, NOS Condition. 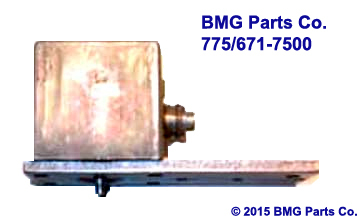 M2/M3 Trigger Solenoid, G-4A, Side-Mount. US GI, Good Condition. 24 Volt Trigger Solenoids, Rear-Mount. New in the box, with all mounting parts. Will require connector change for Quad Mount. Limited quantities. US GI, NOS Condition. Four G11, 24 Volt Trigger Solenoids, Rear-Mount. New in the box, with all mounting parts. These are Aircraft triggers, Requiring a connector change. Limited quantities. US GI, NOS Condition. 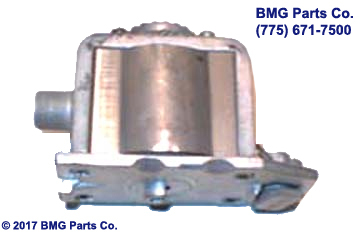 M2/M3 Trigger Solenoid, G-19, Top-Mount, with solenoid cover. US GI, Good Condition. Requires auxilary trigger, sold seperately. G-19 Solenoid, with Auxilary Trigger. 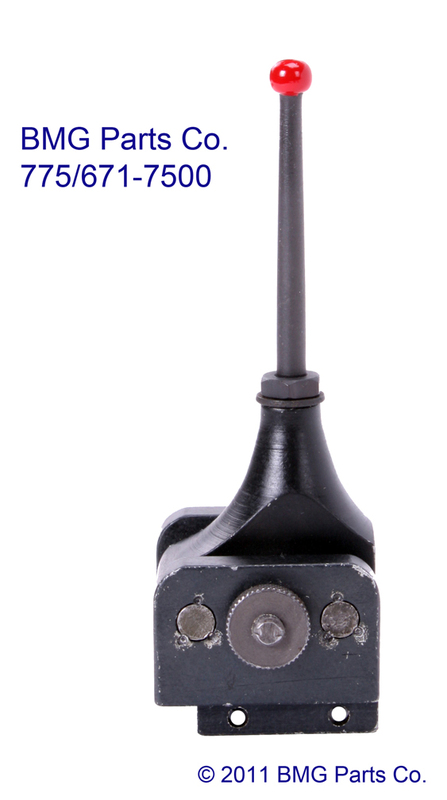 M2/M3 Trigger Solenoid, G-19, Top-Mount, with solenoid cover and auxilary trigger included. New in the box. US GI, NOS Condition. 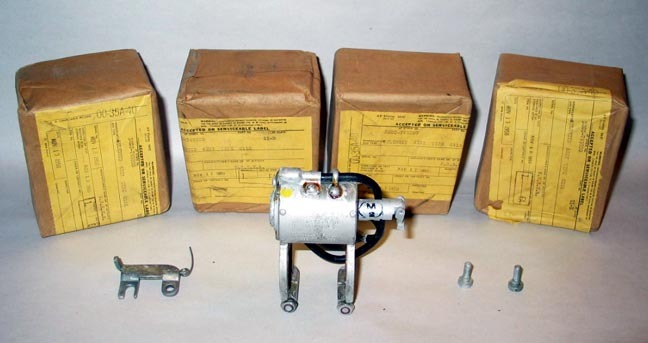 G-19 Solenoid, with Auxilary Trigger, Four pack. M2/M3 Trigger Solenoid, G-19 Four Pack, for Quad Mounts Top-Mount Trigger Solenoid, with solenoid cover and auxilary trigger included. New in the box. US GI, NOS Condition. Add a Scope or Laser to your M2HB or M3 .50 cal. Single Picatinny Rail. Screws directly onto your top cover. New condition. Add a Scope or Laser to your M2HB or M3 .50 cal. Single Picatinny Rail. 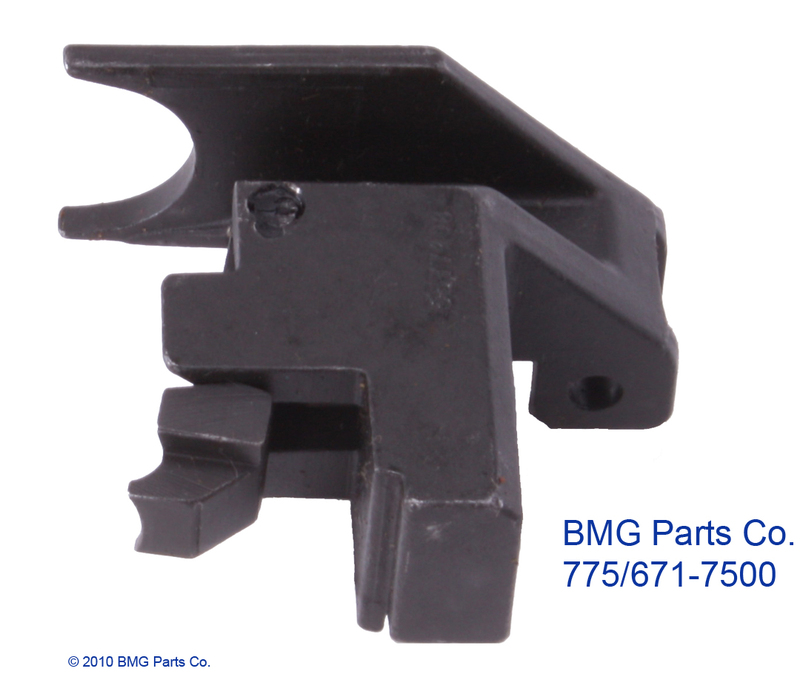 Slides onto your existing rear sight, with the dovetail mount. New condition. Add a Scope or Laser to your M2HB or M3 .50 cal. Multiple Picatinny Rail, 6" MIL STD 1913 Picatinny rails on left, right and top. Slides over the top plate. Two adjustable positions on each side and three on top. 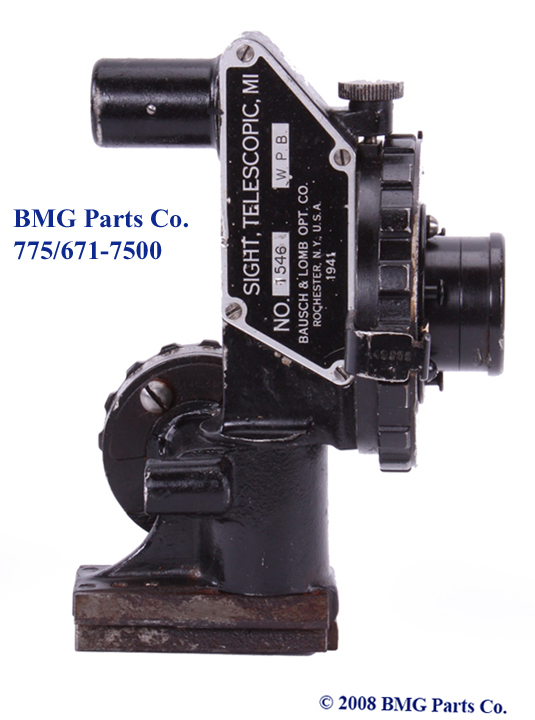 M2HB Sights are viewable under the tri-rail mounting system. Currently in use by the US Military. New condition. US GI M2HB Scope, M1. Makes a great display. Lens is non-transparent. Requires lens cleaning or lens recoating, for actual use. US GI, Good Exterior Condition. US GI M2HB Starlight Scope, TVS2. Scope Mounts available, but not included. US GI or Import, Good Condition. MK26 Front Post Sight Base Only, replaces front sight. Windage adjustment. Post Sight not included. US GI, NOS condition. US Military Scope Mounts for the M2HB. 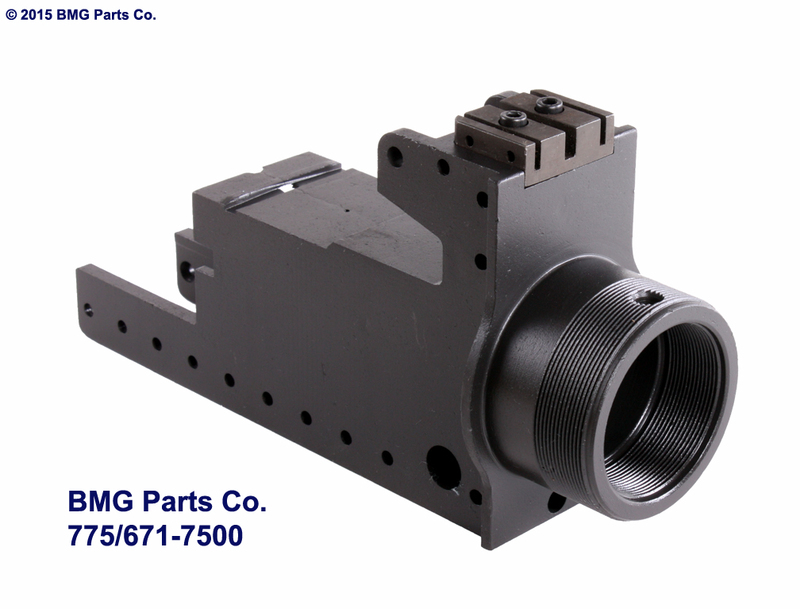 There are three types of receiver mounted scope mounts for use with various Night Vision Scopes (5855-01-045-5482) SM-D-850220-1 for use with ANPVS-4, 11619652 for use with TVS-2. US GI, Good Condition. Add a Scope or Laser to your M2HB or M3 .50 cal. Double Picatinny Rail, one on the top and one on the side. Slides directly onto your top plate. 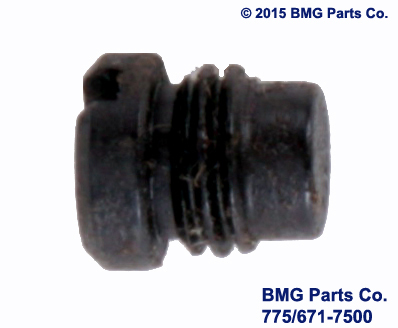 Part Number: A3170570. US GI, Surplus condition. 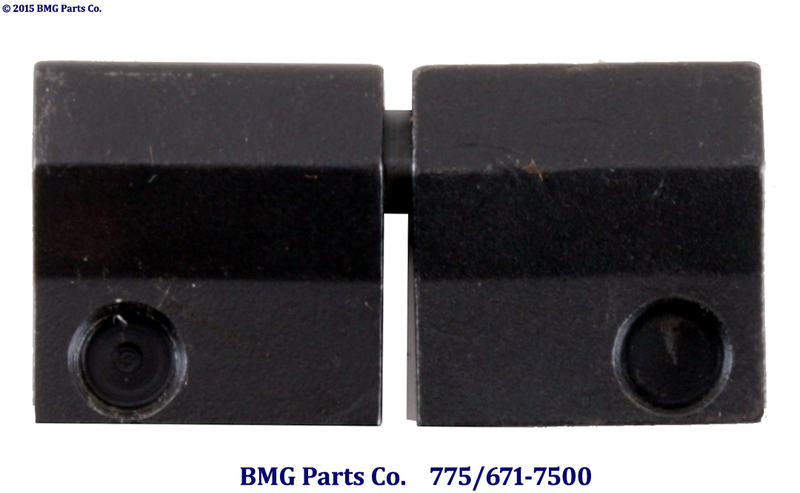 M2HB Late Style Rear Sight. US GI, Very Good Condition. 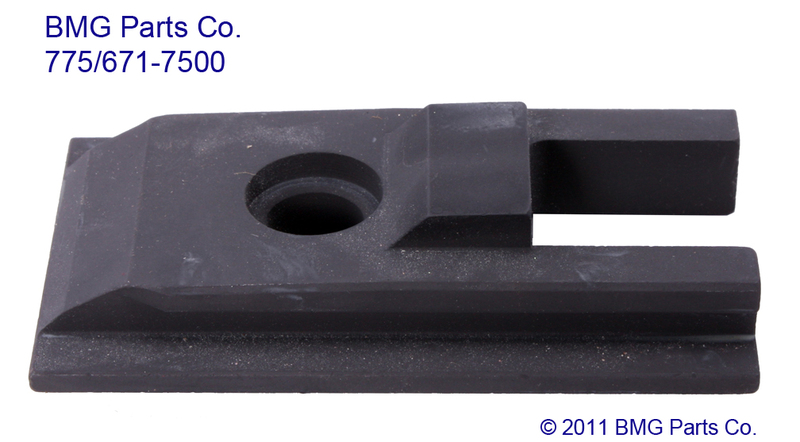 Early WWII M2HB Rear Sight, with the dovetail mount 1005-336-8609. US GI, Very Good Condition. 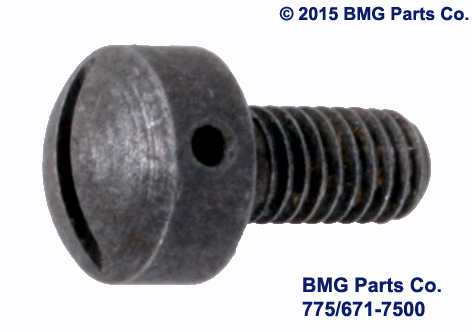 M2HB Rear Sight Screw (Three Required for Semi, Two, plus one Timing Adjust Assy. Screw for full). US GI, NOS. Condition. M2HB Rear Sight Windage Scale (0-5). US GI, Surplus Condition. Screw, Scale, Sight, Windage, M2HB. 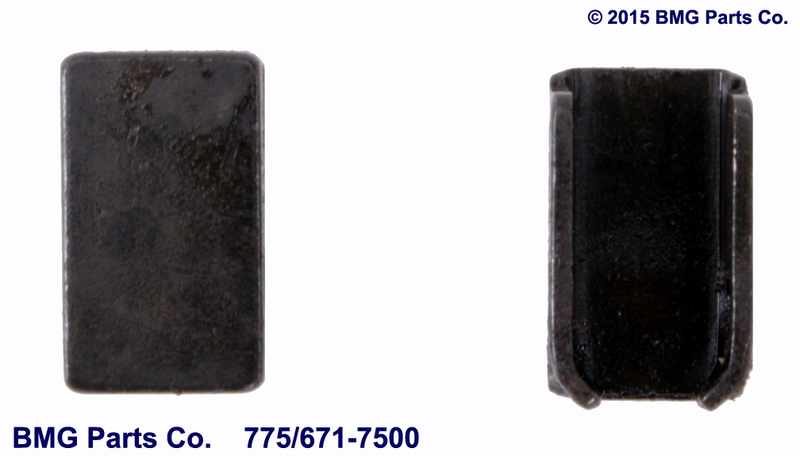 M2HB Rear Sight Windage Scale Screw (2 Required). US GI,NOS Condition. M2HB Rear Ladder Sight Assembly. US GI, NOS Condition. Windage Kit, Rear Sight, M2HB. 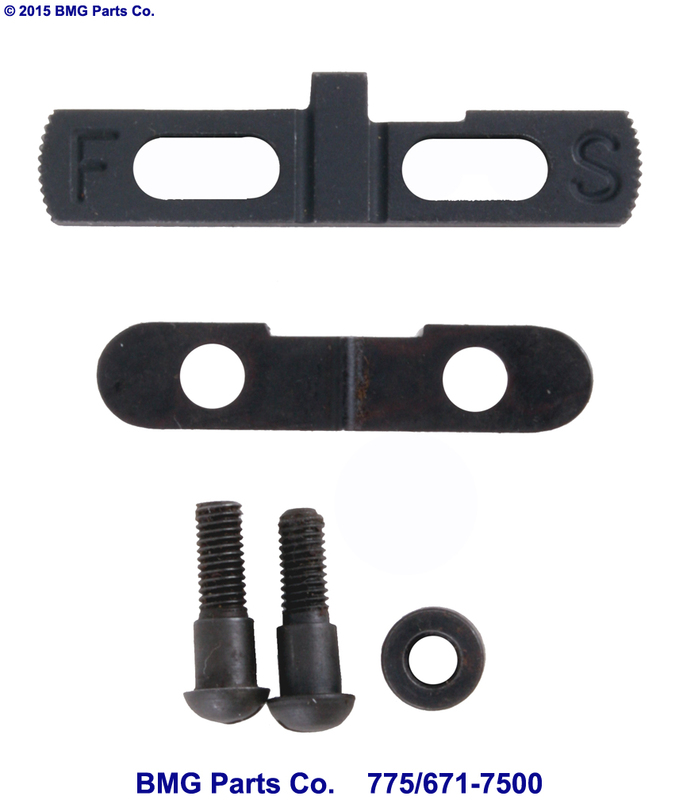 M2HB Rear Sight Windage Kit. 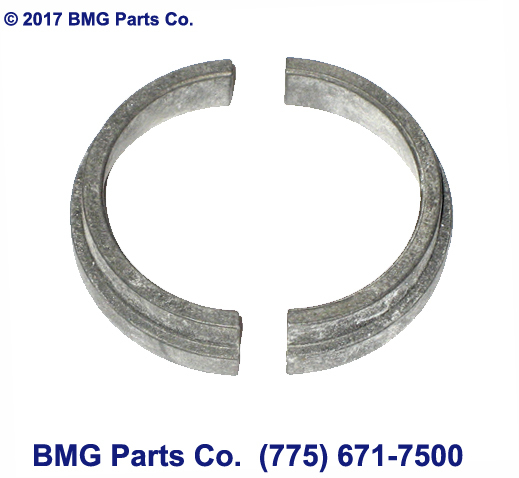 Includes: 5013160 (Screw), 6008809 (Knob), 8454231 (Pin), 5013154 (Spring), 5013155 (Bearing). New Condition. 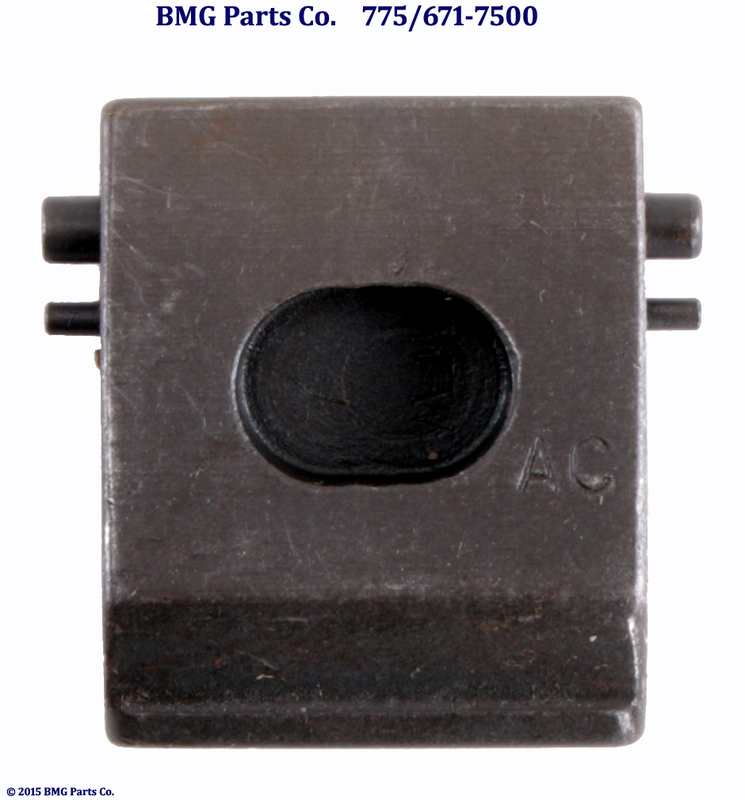 M2HB Rear Leaf Sight Spring. US GI, NOS Condition. 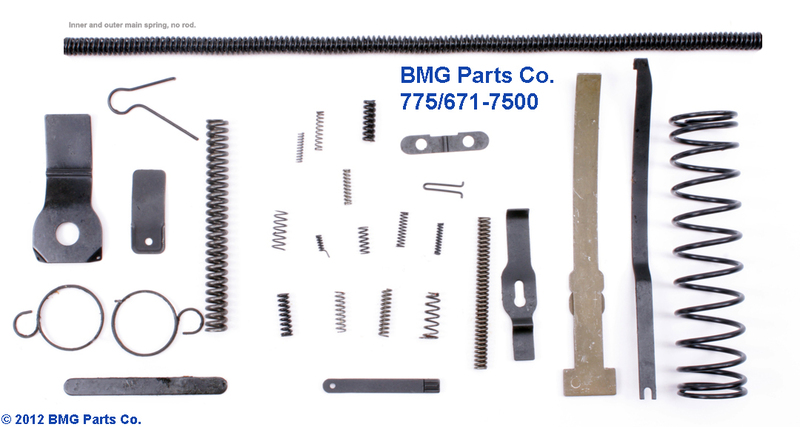 M2HB Replacement Spring Kit. US GI, NOS Condition. Pin, Cotter, Browning Machine Gun. 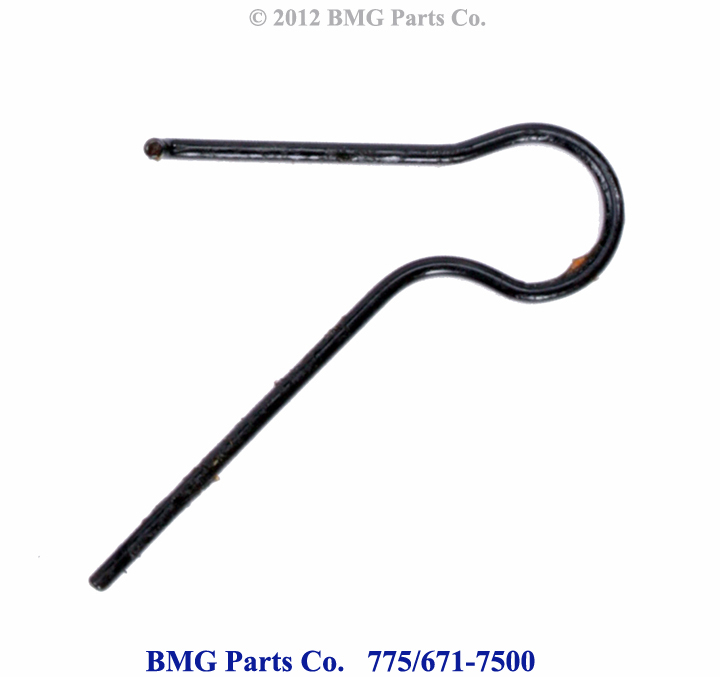 Browning Machine Gun Cotter Pins. All Models. Specify size or purpose. New Condition. Back Plate Grip Assembly, M2. M2 Back Plate, Spade Grip Assembly, Wood or plastic grips, Complete Assembly. US GI, Very Good condition. M2/M3 Back Plate Assembly, with a G11 Trigger Solenoid and Auxiliary Trigger. 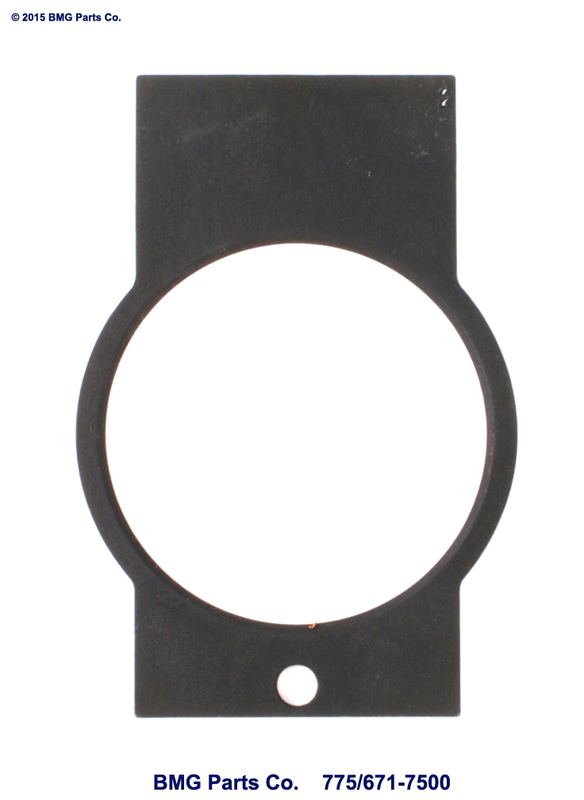 For use on the M33 Twin Mount or M45 Quad Mount. US GI, Excellent/NOS Condition. M2 Buffer Tube Sleeve. US GI, NOS Condition. 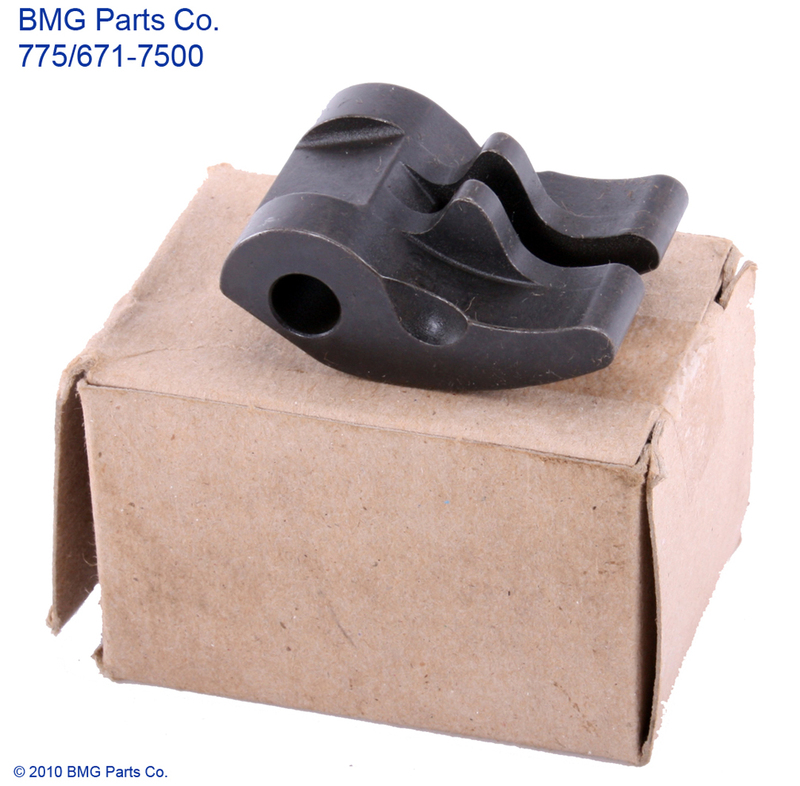 Grip Set Parts, M2/M3/ANM2, .50 cal. 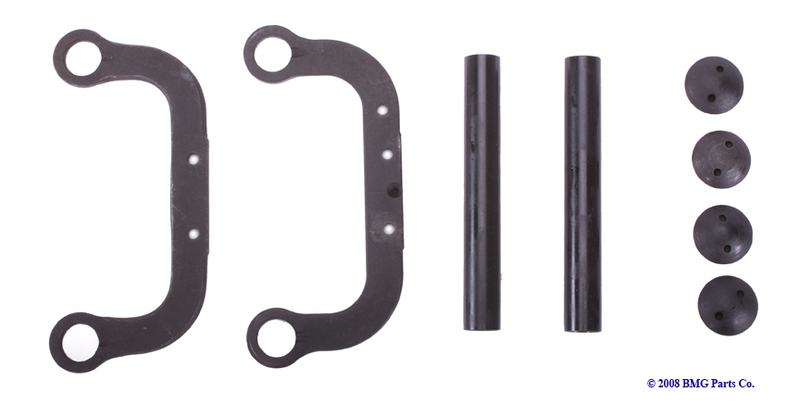 M2 or M3 Grip Set Parts, includes upper (6008937) and lower frame (6008936), set of tubes (9812617) and screws (5009394). US GI, Excellent Condition. M2HB Back Plate Upper Frame. US GI, NOS Condition. M2HB Back Plate Lower Frame. US GI, NOS Condition. M2HB Back Plate Grip Tube (Two Required). US GI, NOS Condition. M2HB Back Plate Grip Screw. Slotted or Spanner Type (Four Required). US GI, NOS Condition. Pin, Frame, Back Plate, w/Lock Pin, M2HB. 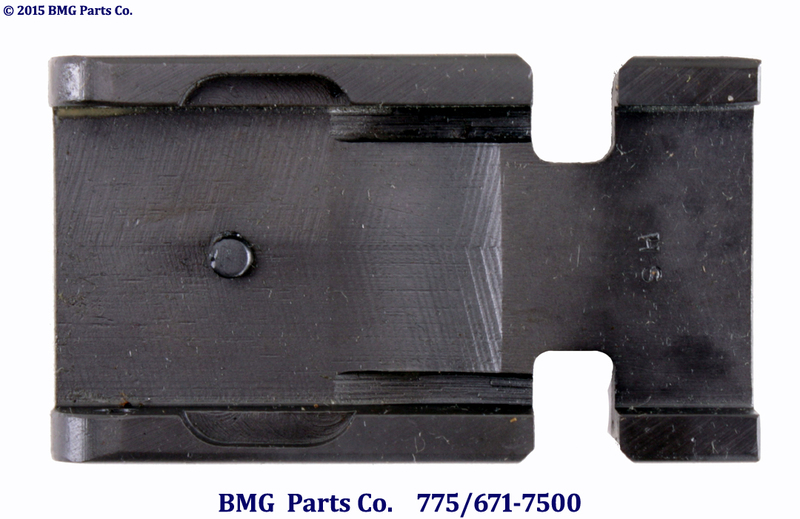 M2HB Back Plate Frame Pin, w/Lock Pin. US GI, NOS Condition. Lock, Pin, Frame, Back Plate, M2HB. M2HB Back Plate Frame Pin Lock. New Condition. 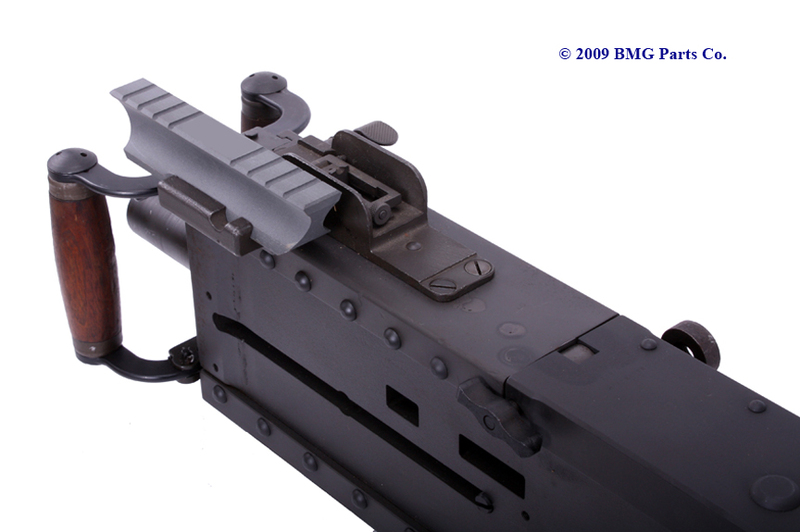 M2HB Back Plate Upper Filler. Solid or Stamped Type. US GI, Surplus Condition. 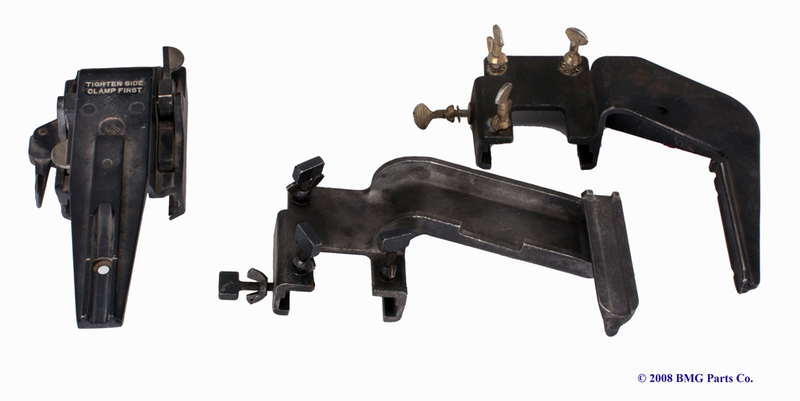 Lower Back Plate Filler, for Latch Lock on Fixed Back Plates. US GI, Excellent Condition. M2HB Back Plate Grip. Red Plastic, manufactured by COLT. US GI, NOS Condition. M2HB Back Plate Grip. Wood (Oak), with two ferrules. US GI, NOS Condition. Trigger, M2HB/ANM2 .50 caliber. US GI, NOS Condition. 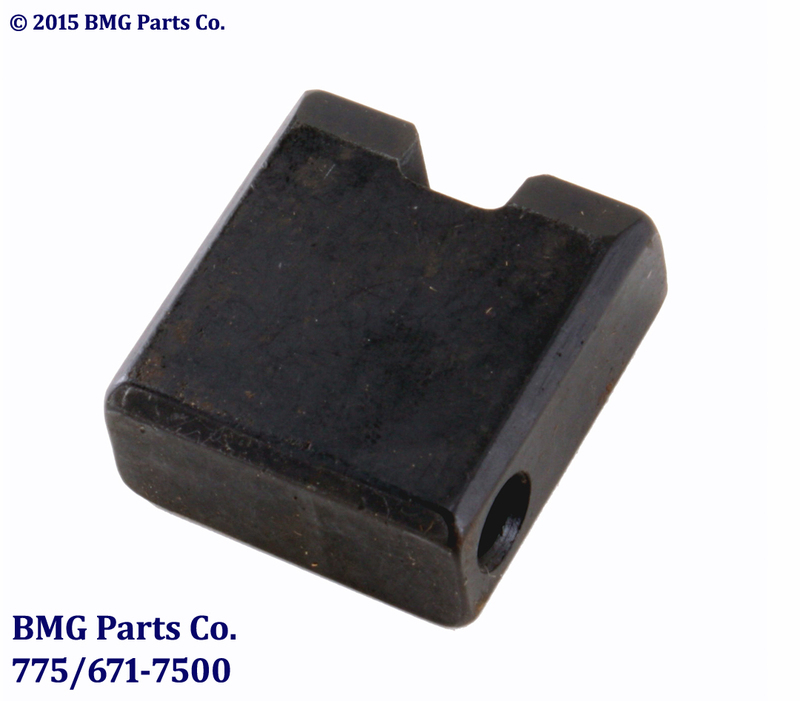 Release, Bolt Latch, M2HB/ANM2 .50 cal. 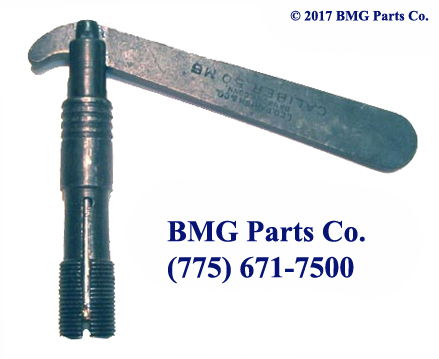 Bolt Latch Release, M2HB/ANM2 .50 caliber. US GI, NOS Condition. Spring, Trigger and Bolt Release Latch, M2HB. M2HB Trigger and Bolt Release Latch Spring. US GI, NOS Condition. 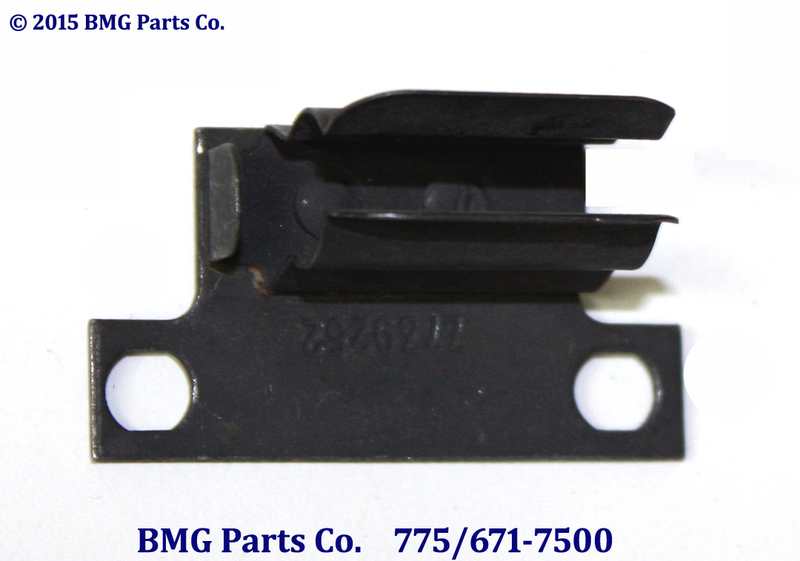 M2HB Back Plate Latch/Trigger/Bolt Release Pin. US GI, NOS Condition. Disk, Buffer, .50 caliber, M2HB. M2HB .50 caliber buffer disk, NOS Condition. 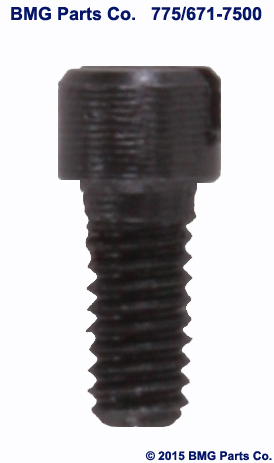 M2HB Buffer Tube Plug (Adjusting Screw). US GI, Exc. Condition. 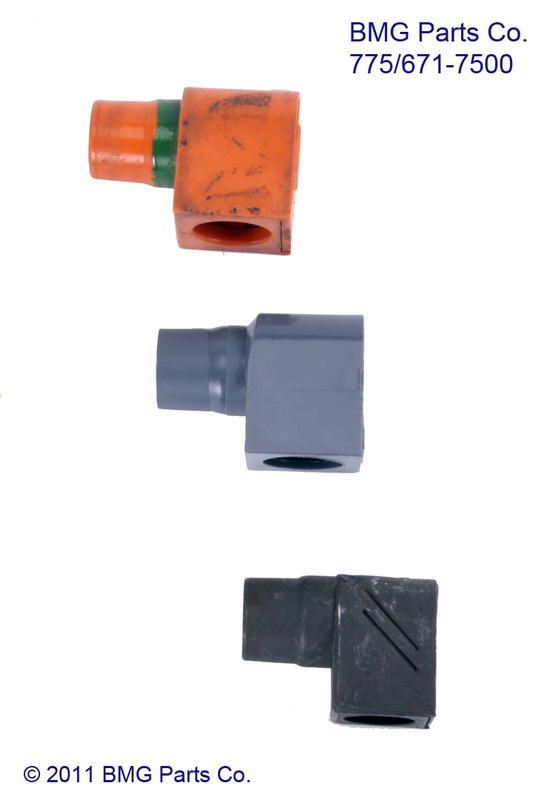 Pin (Plunger), Plug, Buffer Tube, M2HB. 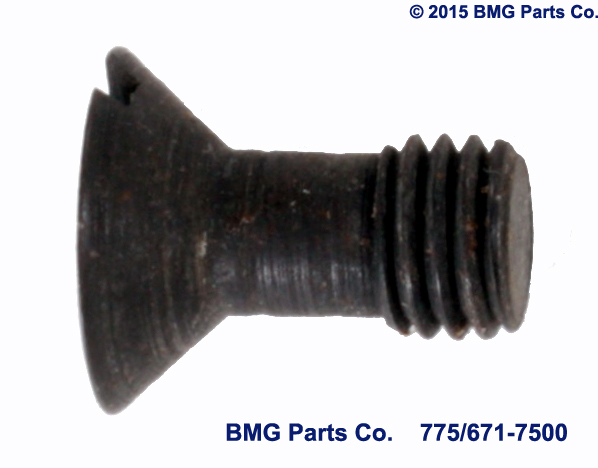 M2HB Buffer Tube Plug (Adjusting Screw) Pin (Plunger). US GI, Exc. Condition. Spring, Plunger, Screw, Adjusting, Buffer, M2HB. 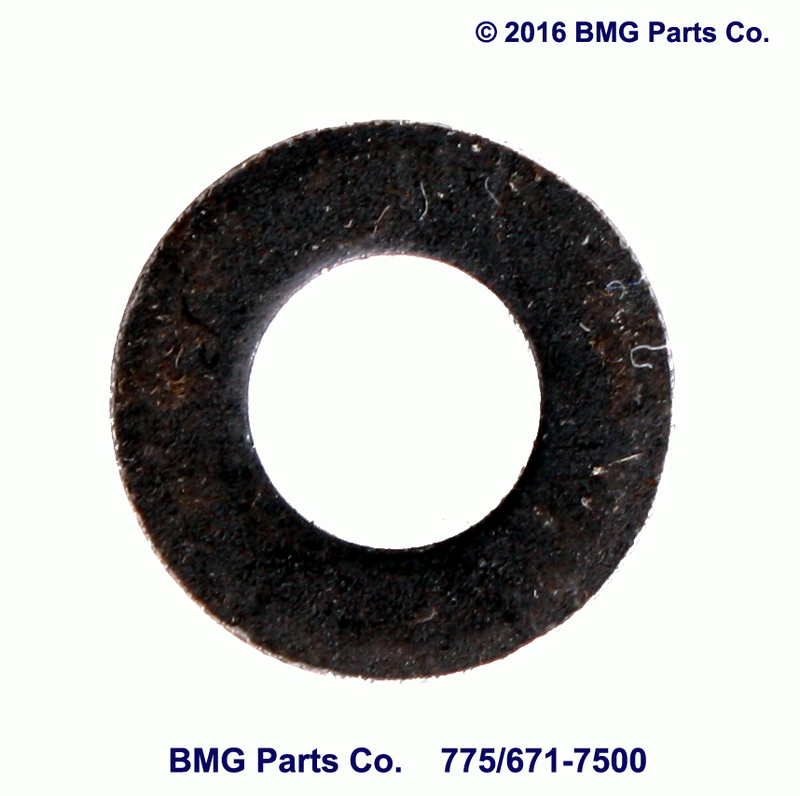 M2HB Buffer Adjusting Screw Plunger Spring. US GI, NOS Condition. M2HB Buffer Tube Plate. US GI, Exc. Condition. M2HB Back Plate Latch. US GI, NOS. Condition. 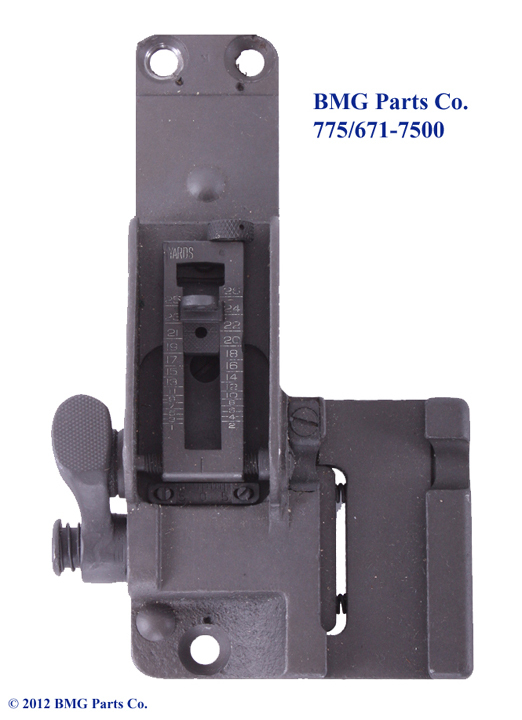 Spring, Latch, Back Plate, M2HB. M2HB Latch Spring. US GI, NOS Condition. M2HB Latch Lock, with spring . US GI, NOS. Condition. M2HB Latch Lock Spring. US GI, NOS Condition. Safety Assembly, M2 .50 cal. M2HB, Safety Assembly. Early Style, works with trigger only (bolt latch switch is replaced with a spacer). Includes: 6147511 (Safety), 5013583 (Spacer), 5152896 (Spring) and Two 5152897 (Screw). US GI, NOS Condition. Safety Assembly, M2 .50 cal., Late Style. M2HB, Safety Assembly. Late Style., works with both the trigger and bolt latch switch. Includes: 1968 (Safety), 1969 (Spring), Two 1994 (Screw) and One set MS20995C32 (Safety Wire). US GI, NOS Condition. 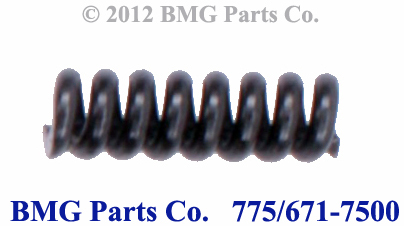 M2HB Safety Spring. US GI, NOS Condition. Bolt, Stripped, M2 .50 cal. M2HB Bolt. Stripped. 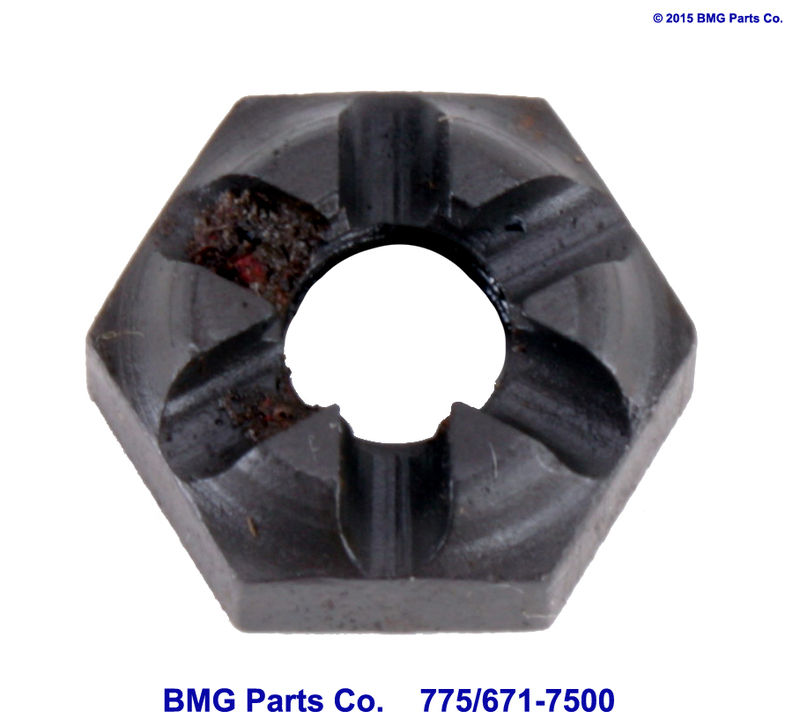 Bolt parts are in stock. US, NOS Condition. Bolt, Complete, M2 .50 cal. M2HB Bolt. Complete with all parts and extractor. US, NOS Condition. M2HB Extractor Assembly. US GI, Exc. Condition. M2HB Ejector. US GI, NOS Condition. M2HB Ejector Pin. US GI, NOS Condition. 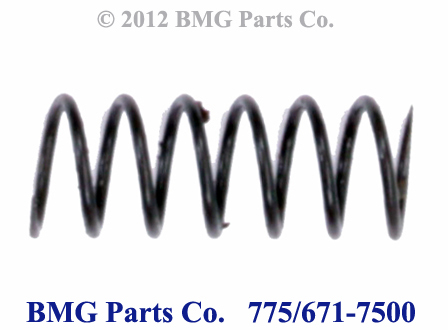 M2HB Ejector Spring. US GI, NOS Condition. Stud (Pin), Charging, Bolt, M2HB. 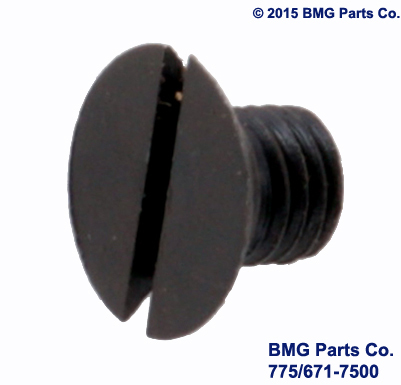 Bolt Charging Stud (Pin). US GI, NOS Condition. M2HB Late Style Firing Pin . US GI, NOS. Condition. M2HB Firing Pin Extension. US GI, Excellent Condition. M2HB Bolt Switch. US GI, NOS. Condition. 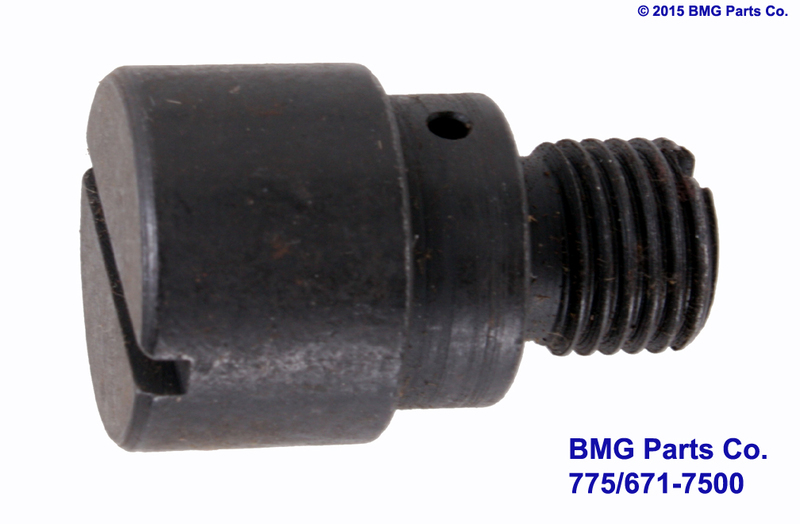 M2HB Bolt Switch Pin. US GI, NOS. Condition. M2HB Sear. US GI, Excellent Condition. M2HB Sear Spring. US GI, NOS Condition. M2HB Cocking Lever. US GI, Exc. Condition. M2HB Cocking Lever Pin. US GI, Exc. Condition. M2HB Sear Stop. US GI, NOS Condition. M2HB Accelerator Stop Lock. US GI, NOS Condition. M2HB Accelerator Stop. US GI, NOS Condition. M2HB Drive Spring Assembly. US GI, NOS Condition. 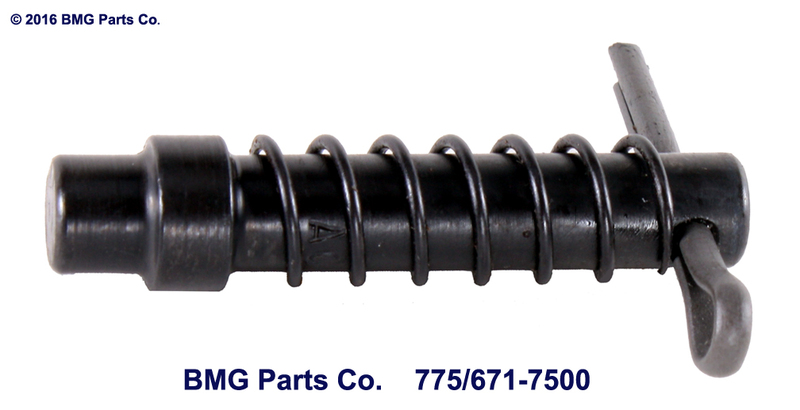 M2HB Drive Spring Rod Assembly, with Pin 5152899. US GI, Surplus Condition. Spring, Outer, Drive Spring, MM2HB. 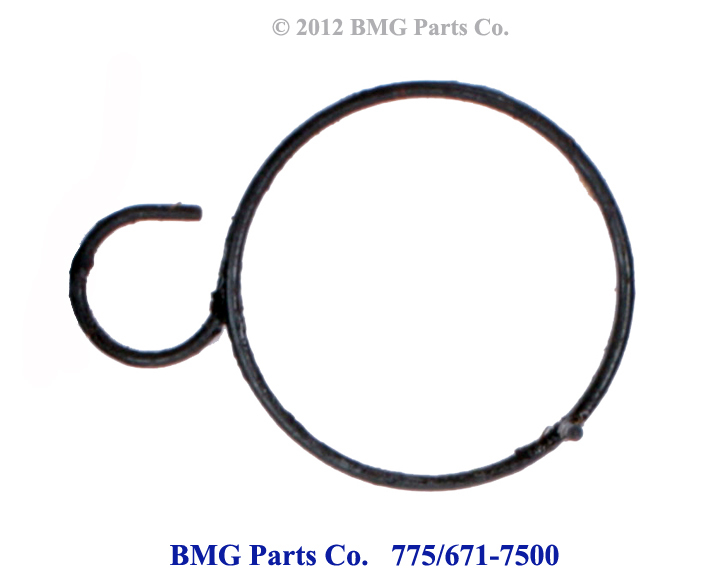 M2HB Outer Drive Spring. US GI, Surplus Condition. M2HB Buffer Body, Stripped. 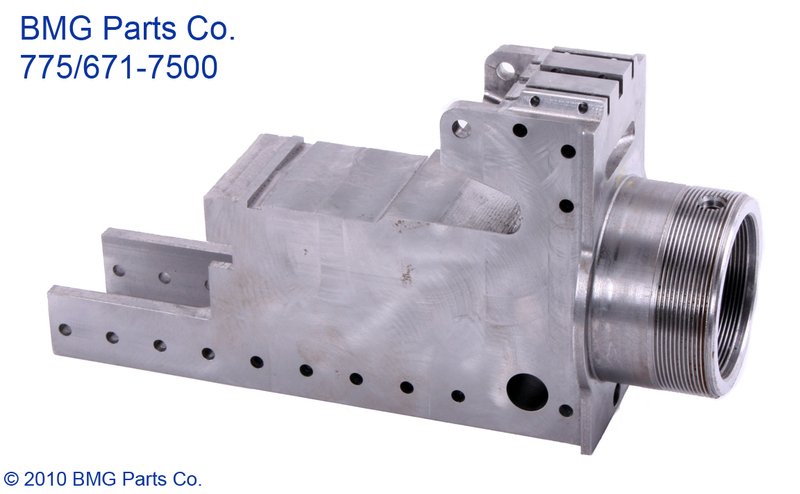 Buffer parts are in stock. US GI, Excellent Condition. M2HB Buffer Body, Complete with all parts. US GI, Excellent Condition. M2HB OIl Buffer Assembly. US GI, NOS Condition. M2HB Buffer Guide. US GI, NOS Condition. M2HB Buffer Spring. US GI, NOS Condition. Spring, Lock, Buffer Body, M2HB. 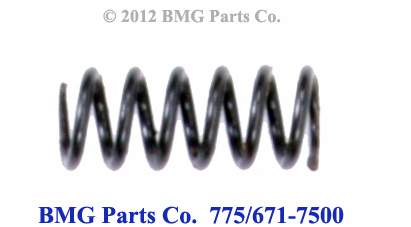 M2HB Buffer Body Lock Spring. US GI, NOS Condition. Spring, Lock, Buffer Tube, M2HB. 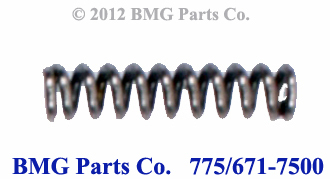 M2HB Buffer Tube Lock Spring. US GI, NOS Condition. 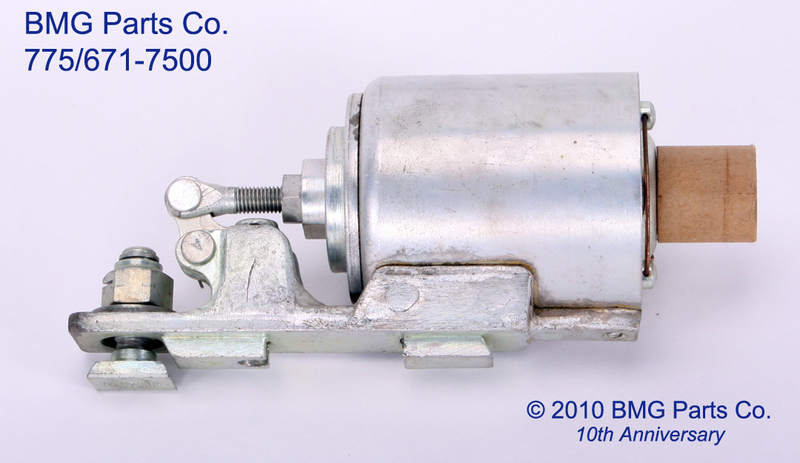 M2HB replacement accelerator 1005-550-8141. US GI, NOS Condition. M2HB Accelerator Pin. US GI, NOS. Condition. Barrel Extension, Stripped, M2 .50 cal. M2 Bolt. M2HB Barrel Extension, Stripped. 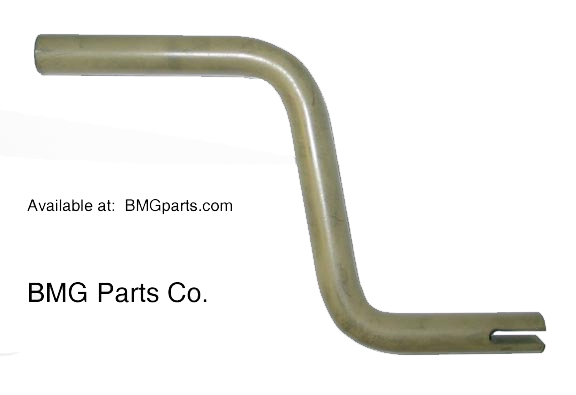 Barrel Extension parts are in stock. US, NOS Condition. Barrel Extension, Complete, M2 .50 cal. M2 Barrel Extension. M2HB Barrel Extension, Complete with all parts. US, NOS Condition. Replacement Shank for the M2HB Barrel Extension. US GI, Good Condition. M2HB Early Style Breech Lock . US GI, Exc. Condition. M2HB Late Style Breech Lock . US GI, Exc. Condition. 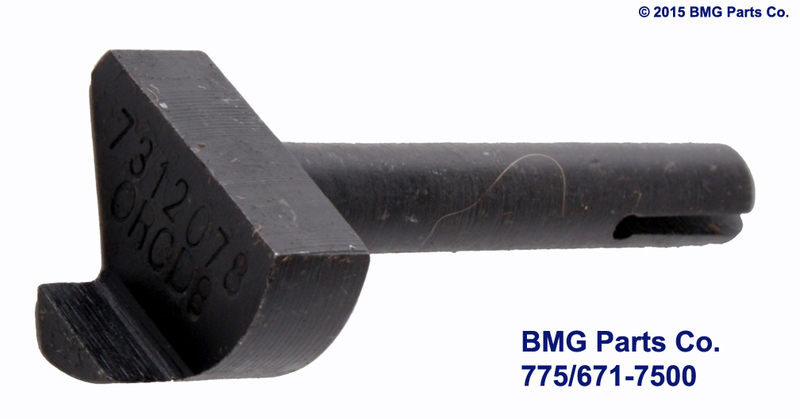 M2HB Breech Lock Pin. US GI, NOS. Condition. M2HB Barrel Lock Spring. US GI, NOS Condition. M85 Charging Handle, with chain. US GI, Exc. Condition. 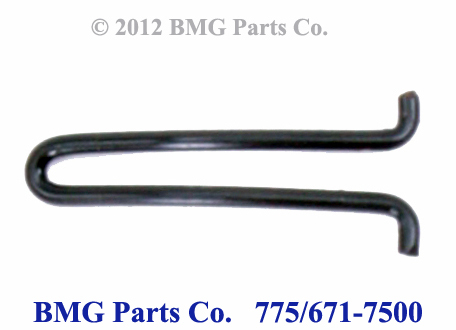 M2 Charging handles,Red, Brown or Black Plastic or Wood 1005-631-3800. US GI, Surplus Condition. Charge Handle, M2, Plastic, Black. 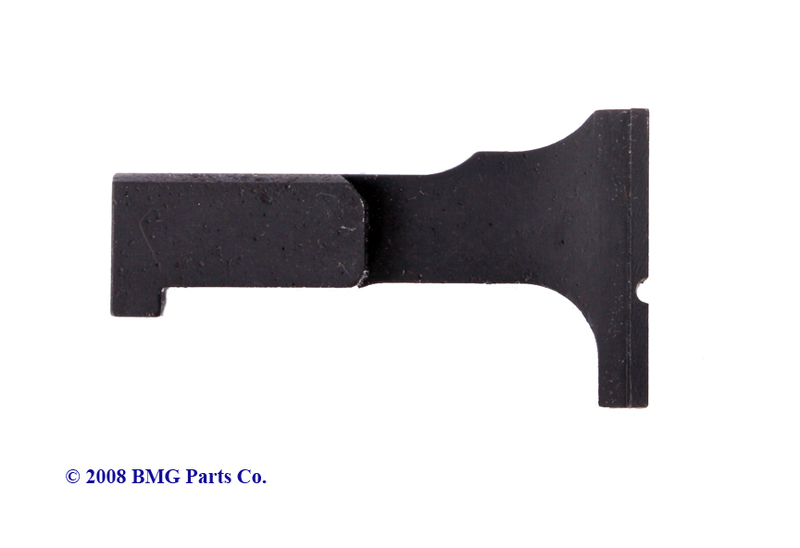 M2 Charging handle, Black Plastic, 1005-631-3800. US GI, NOS Condition. Charge Handle, M2, Wood (Oak). M2 Charging handle, Wood (Oak), 1005-631-3800. US GI, NOS Condition. M2HB Retracting Slide Group Assembly, 10059978793 or C46029 (AC). US GI, Excellent Condition. 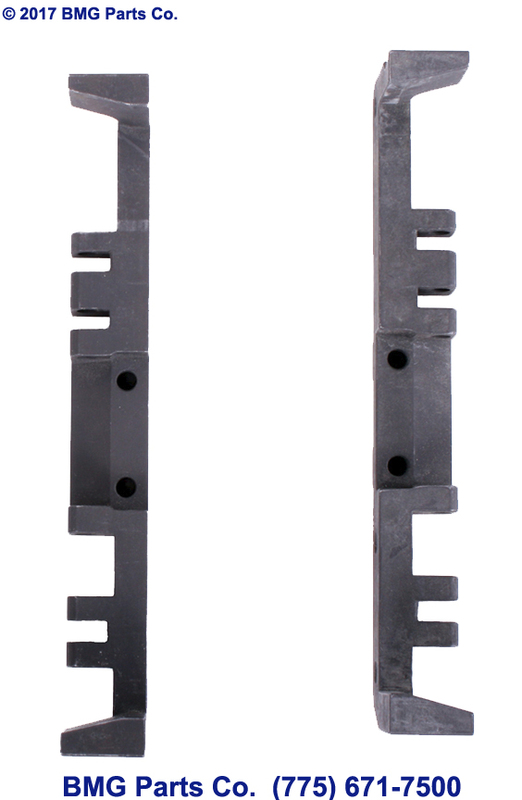 Screw, Retracting Slide Frame, Large Slotted Head, M2HB. M2HB Retracting Slide Frame Fillister Screw, with 1/16" hole for safety wire. Large Head (Two large and one small head screw required) . US GI, NOS. Condition. Screw, Retracting Slide Frame, Small Slotted Head, M2HB. M2HB Retracting Slide Frame Fillister Screw, with 1/16" hole for safety wire. Small Head (Two large and one small head screw required) . US GI, NOS. Condition. Stud, Retracting Slide Group, M2HB. Retracting Slide Group Stud. US GI, NOS. Condition. Pin, Retracting Slide Group, M2HB. Retracting Slide Group Pin. US GI, NOS. Condition. Stud, Shoulder, Mount, Assembly, Retracting Slide Group, M2HB. 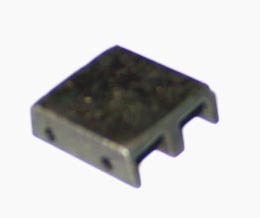 Retracting Slide Group Mounting Shoulder Stud Assembly. Includes: 5013681 (Bolt), 5013686 (Nut) and 96906 (Pin). US GI, NOS. Condition. Stud, Shoulder, Retracting Slide Group, M2HB. Retracting Slide Group Shoulder Stud. US GI, NOS. Condition. Nut, Stud, Shoulder, Retracting Slide Group, M2HB. Retracting Slide Group Shoulder Stud Nut. US GI, NOS. Condition. Washer, Stud, Shoulder, Retracting Slide Group, M2HB. Retracting Slide Group Shoulder Stud Washer. US GI, NOS. Condition. 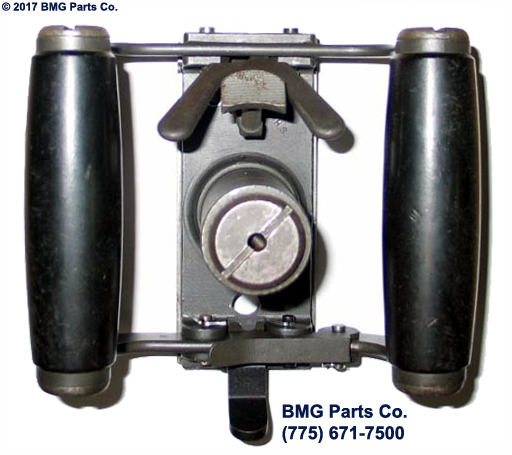 Lever, Retracting Slide Group, M2HB. Retracting Slide Group Lever. US GI, NOS. Condition. Slide, Retracting Slide Group, M2HB. Retracting Slide Group Slide. US GI, NOS. Condition. Spring, Lever, Left, RSG, M2HB. M2HB Retracting Slide Group Left Side Lever Spring. US GI, NOS Condition. Spring, Lever, Right, RSG, M2HB. M2HB Retracting Slide Group Right Side Lever Spring. US GI, NOS Condition. 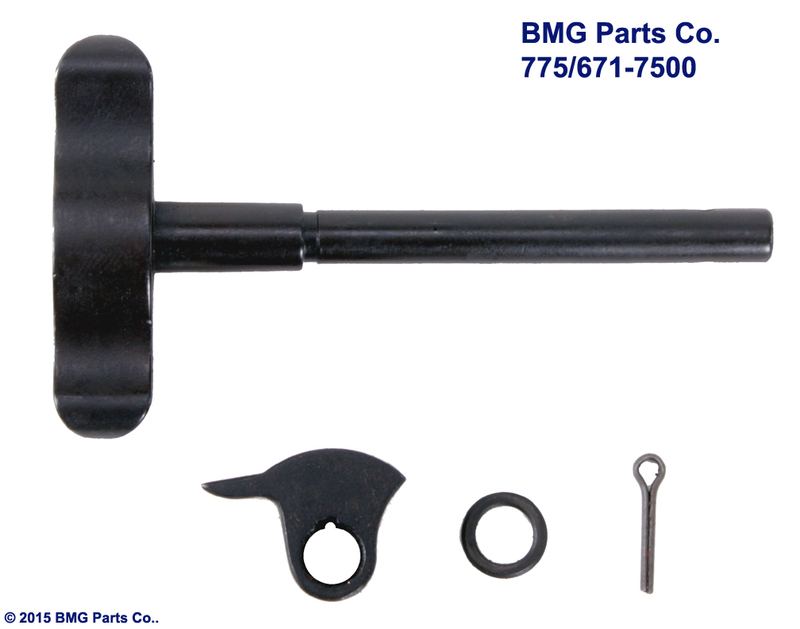 Plunger Set, Retracting Slide Group, M2HB. Retracting Slide Group Plunger Set. Includes: 6008990 (Plunger), 5013693 (Spring) and 5013687 (Pin) . US GI, NOS. Condition. 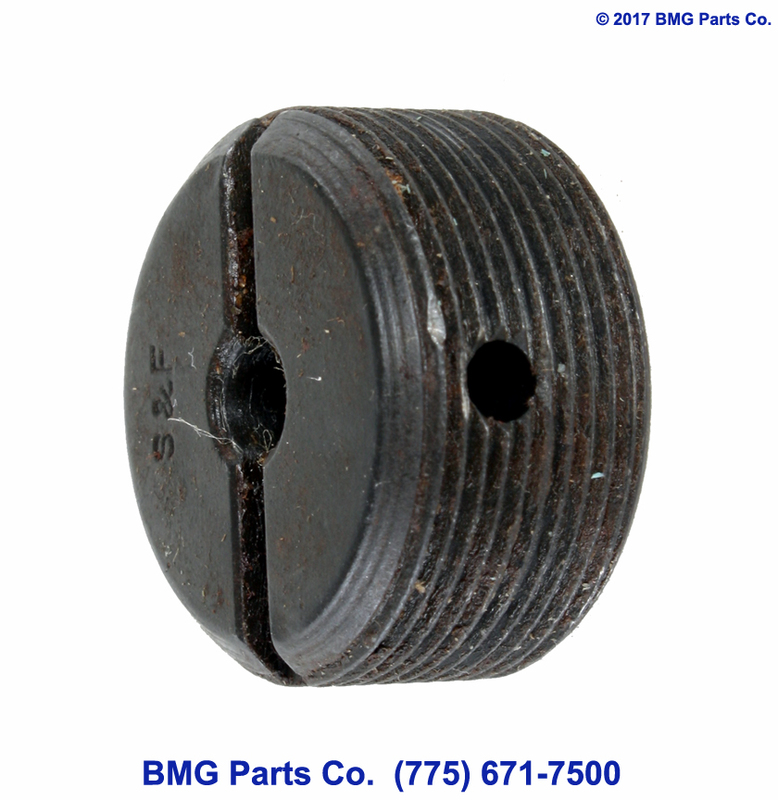 M2HB Retracting Slide Group Plunger Spring, 1005-501-3693. US GI, NOS Condition. M2 Top Cover, Stripped. US GI, NOS Condition. M2 Top Cover, Complete. US GI, NOS Condition. 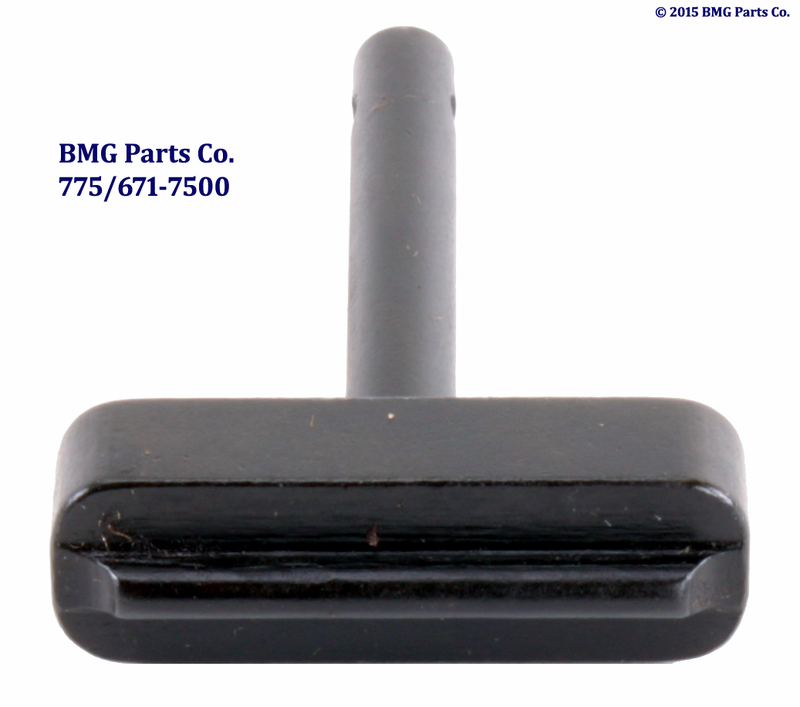 Latch Assembly, Top Cover, M2. M2 Top Cover Latch Assembly. US GI, NOS Condition. Spring, Latch, Top Cover, M2HB. M2HB Top Cover Latch Spring. US GI, NOS Condition. 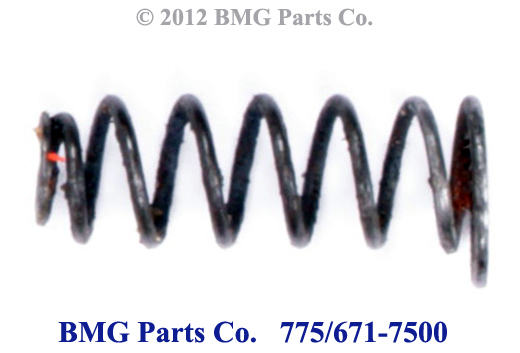 M2HB Extractor Spring. US GI, NOS Condition. 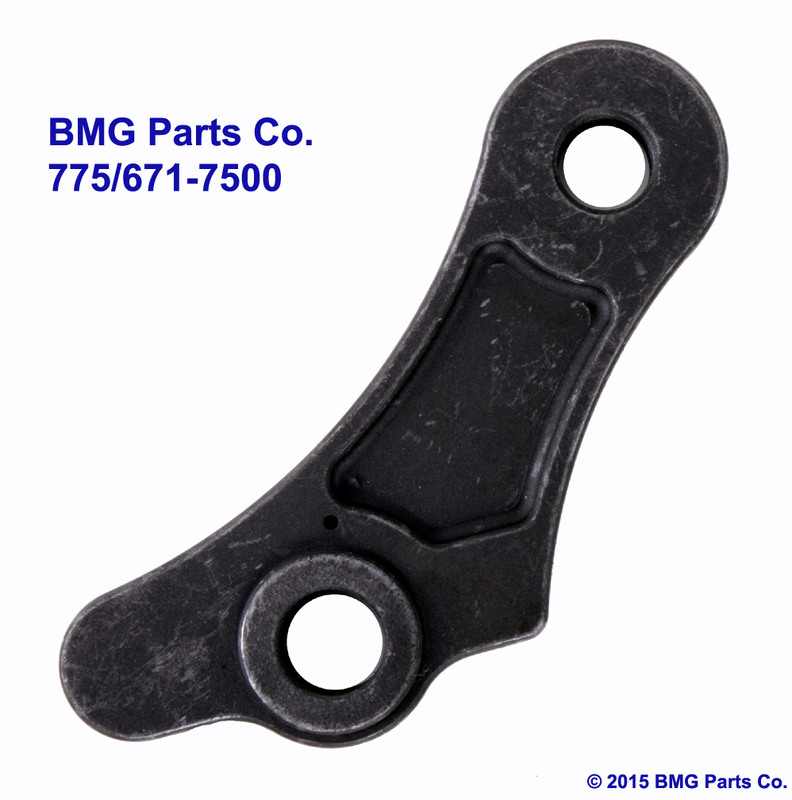 Belt Feed Lever, M2HB. US GI, NOS Condition. Pin, Lock, Feed Lever, M2HB. M2HB Feed Lever Lock Pin . US GI, NOS. Condition. Pin, Belt Feed Lever, M2HB. 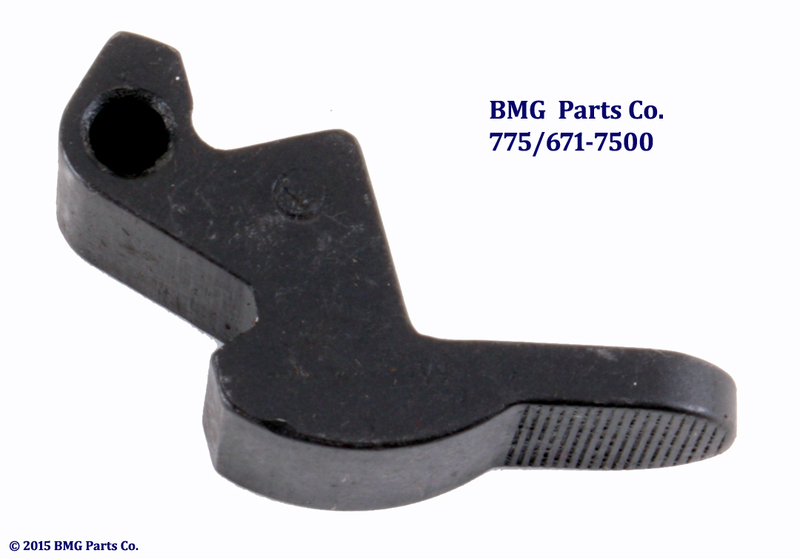 M2HB Belt Feed Lever Pin. US GI, NOS Condition. 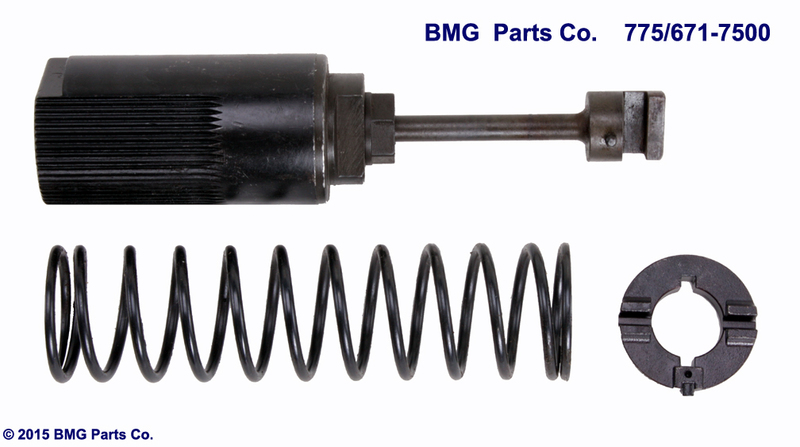 Spring, Pawl Lever Plunger, M2HB. 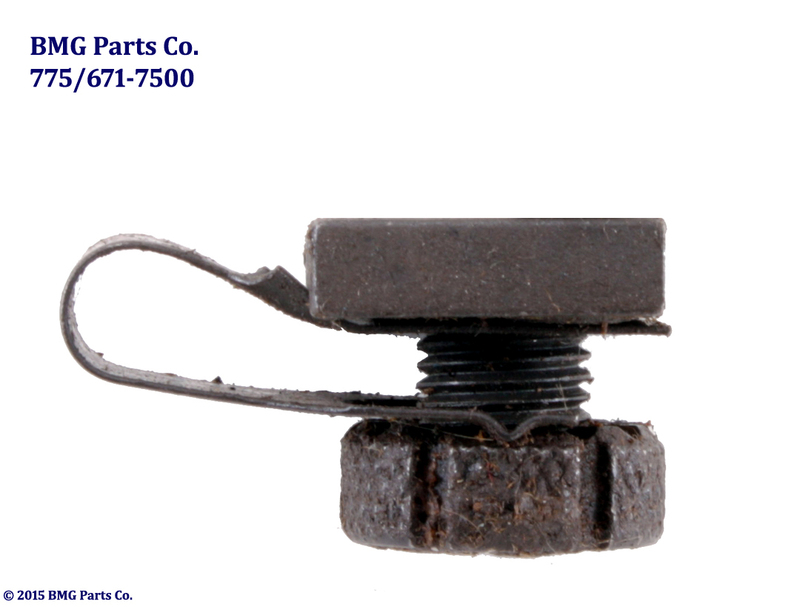 M2HB Pawl Lever Plunger Spring. US GI, NOS Condition. M2HB Top Cover Slide . US GI, NOS. Condition. M2HB Top Cover Pawl. US GI, Exc. Condition. Spring, Pawl, Belt Feed, M2HB. 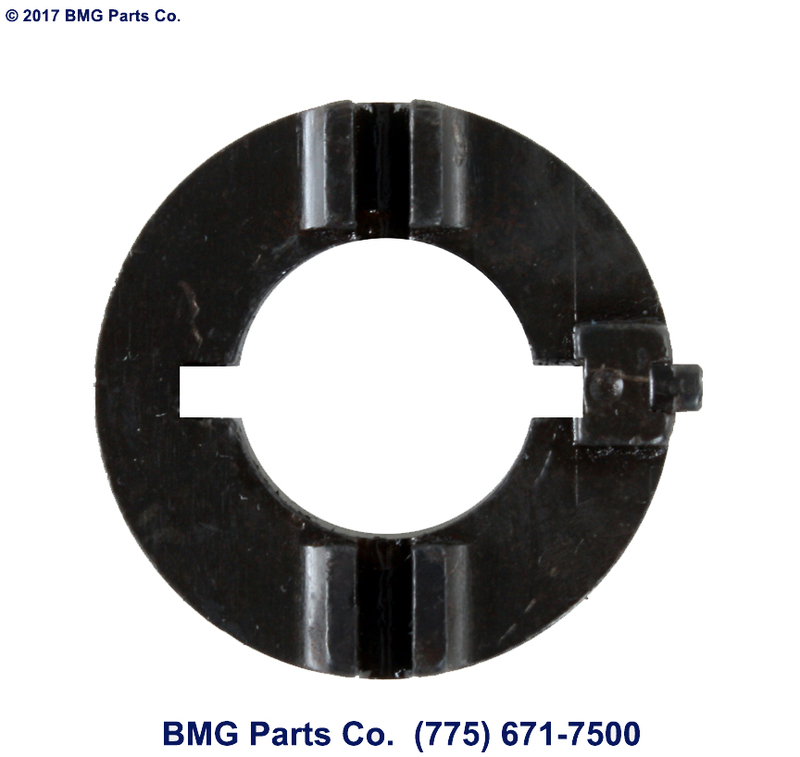 M2HB Belt Feed Pawl Spring. US GI, NOS Condition. Arm, Pawl, Top Cover, M2HB. M2HB Top Cover Pawl Arm. US GI, Exc. Condition. Pin, Pawl, Top Cover, M2HB. M2HB Top Cover Pawl Pin. US GI, Exc. Condition. Pawl Detent, Top Cover, Early, M2HB. M2HB Early Style Top Cover Pawl Detent. US GI, Exc. Condition. Spring, Detent, Top Cover, Early, M2HB. 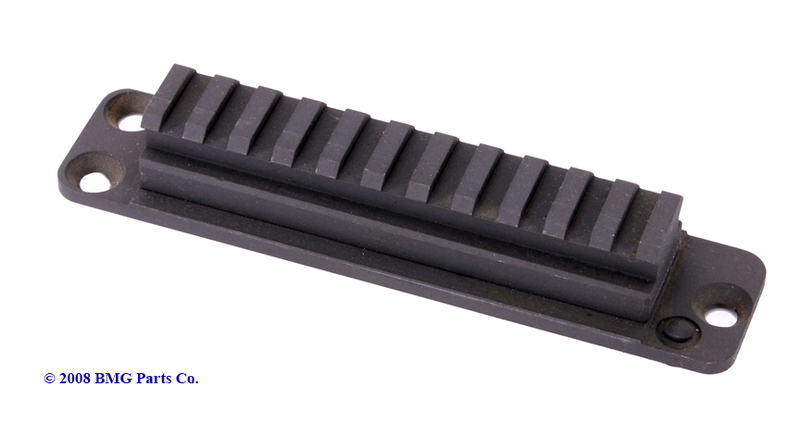 M2HB Early Style Top Cover Detent Spring. US GI, NOS Condition. Pawl Detent, Top Cover, Late, M2HB. M2HB Late Style Top Cover Pawl Detent. US GI, Exc. Condition. Spring, Detent, Top Cover, Late, M2HB. M2HB Late Style Top Cover Detent Spring. US GI, NOS Condition. M3 Top Cover Pin. US GI, NOS Condition. M2HB Top Cover Pin. US GI, NOS Condition. Browning M2HB/ANM2/M3 Trunnion. New Condition. 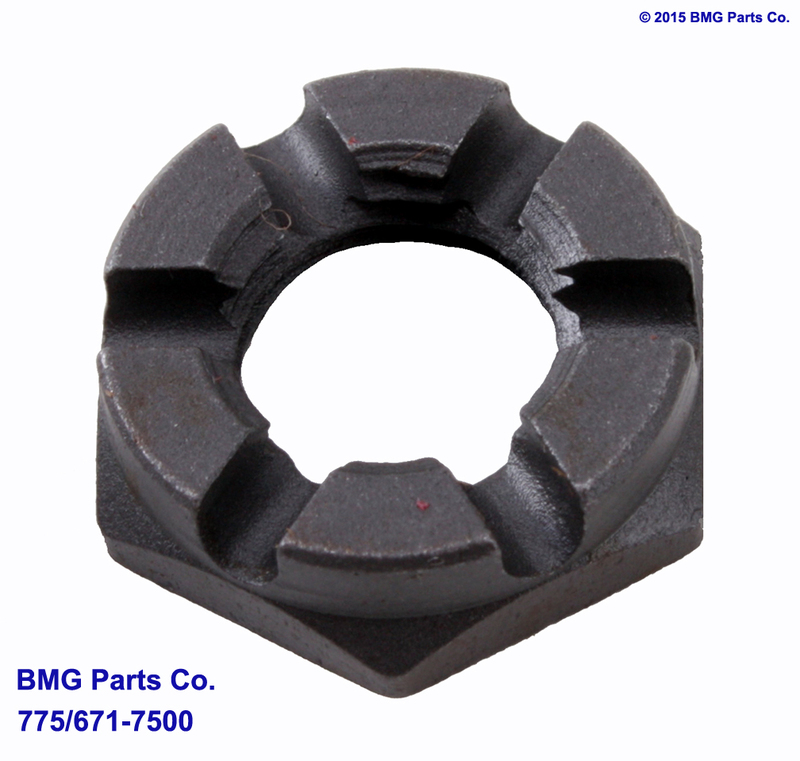 Browning M2HB/ANM2/M3 Grade B Trunnion. These are modified M3 Trunnions, machined to fit a front sight bracket. Comes with bracket and two screws. Great for dummy guns. We have some that are good for live guns, with minor cosmetic defects. Fair Condition. Barrel Bearing for the M2 or M3 Trunnion, new in the wrap. US GI, NOS Condition. M2HB Bearing Screw. US GI, NOS. Condition. .50 caliber Barrel Support, M2, Current Issue, MIL SPEC. US GI, NOS Condition. 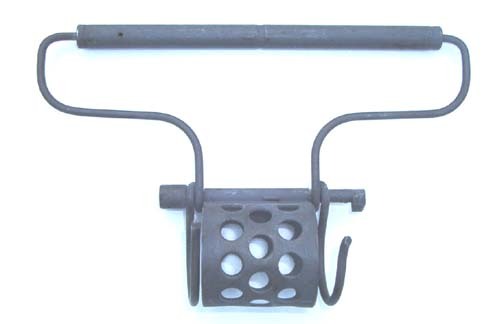 Barrel Support, Slotted, COLT, .50 cal. Early COLT .50 caliber Slotted Barrel Support, M2HB. US GI, Very Good Condition. 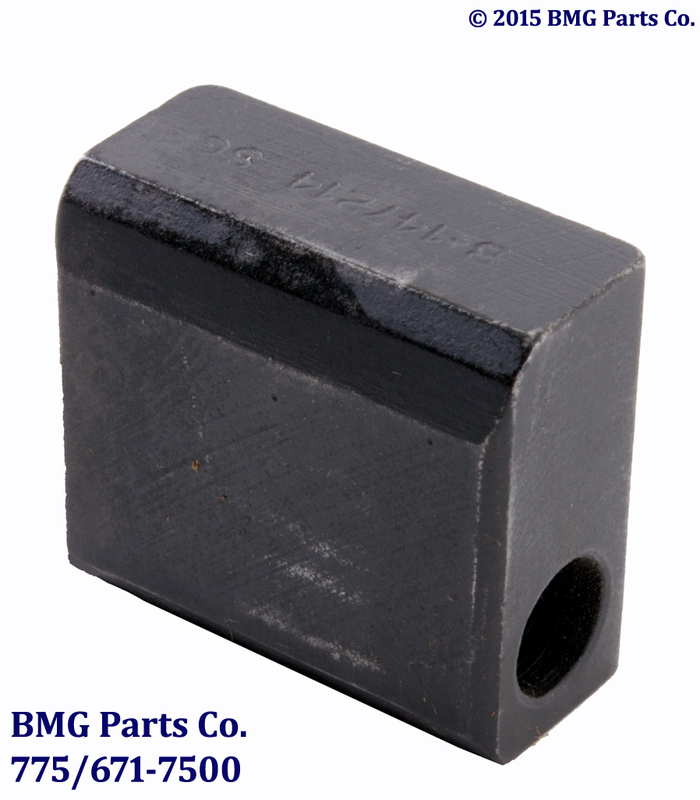 Shim, Trunnion/Barrel Support, .50 cal. 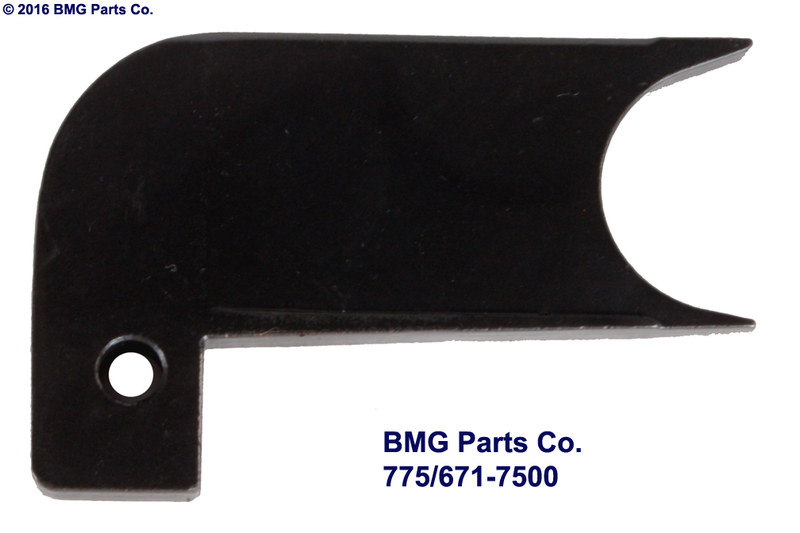 Trunnion/Barrel Support Shim, M2HB. 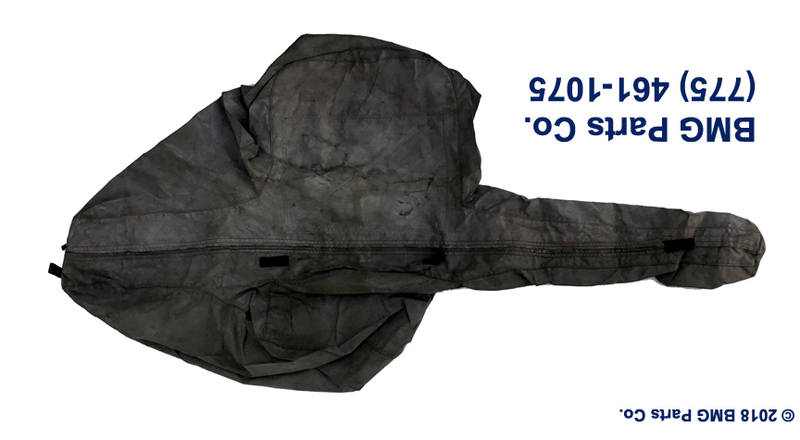 Eleven Sizes, Part Number 7265580-7265590. US GI, NOS Condition. M2HB Barrel Support Lock. US GI, NOS Condition. Spring, Lock, Barrel Support, M2HB. 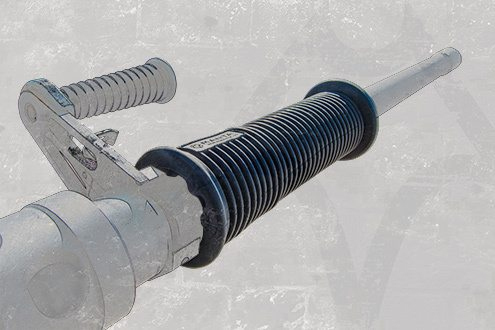 M2HB Barrel Support Lock Spring. US GI, NOS Condition. Lock, Assembly, Barrel Support, M2HB. M2HB Barrel Support Lock Assembly, with spring and pin. US GI, NOS Condition. 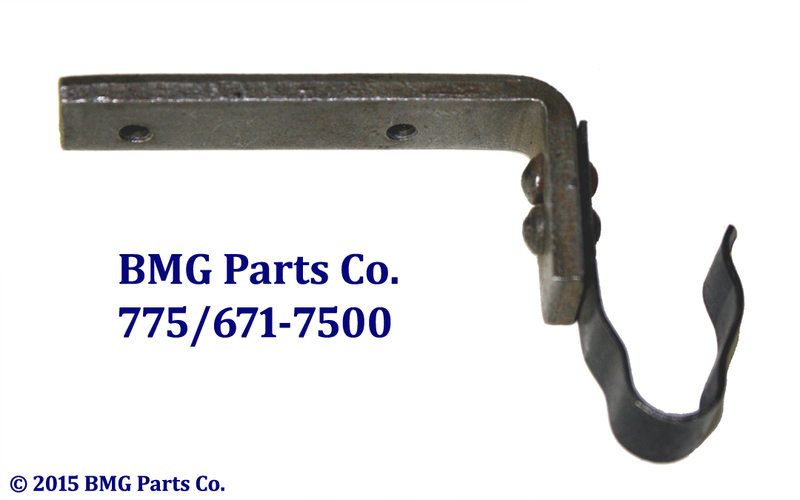 Pawl Bracket Set, includes one left and one right pawl bracket, for the M2HB or M3. US GI, NEW Condition. Pin, Pawl, Belt Holding, M2HB. 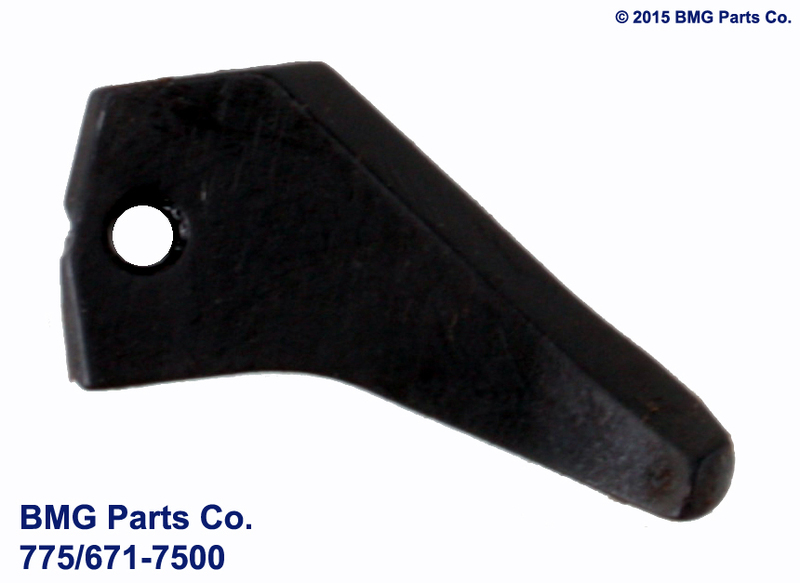 M2HB Pawl Bracket Pin . US GI, NOS. Condition. M2HB Late Style Belt Holding Pawl. US GI, NOS. Condition. 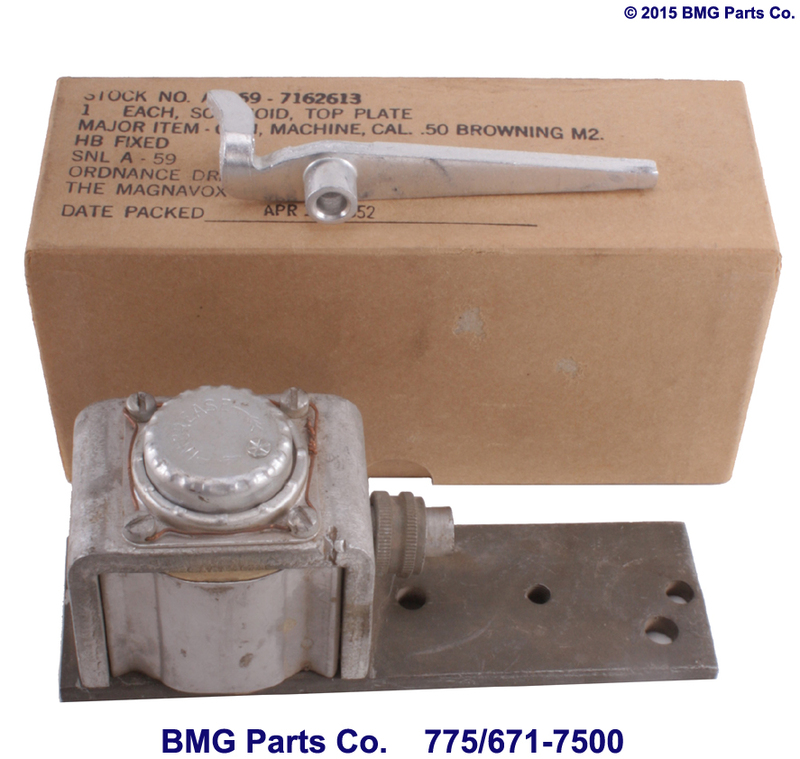 Spring, Belt Holding Pawl, M2HB. 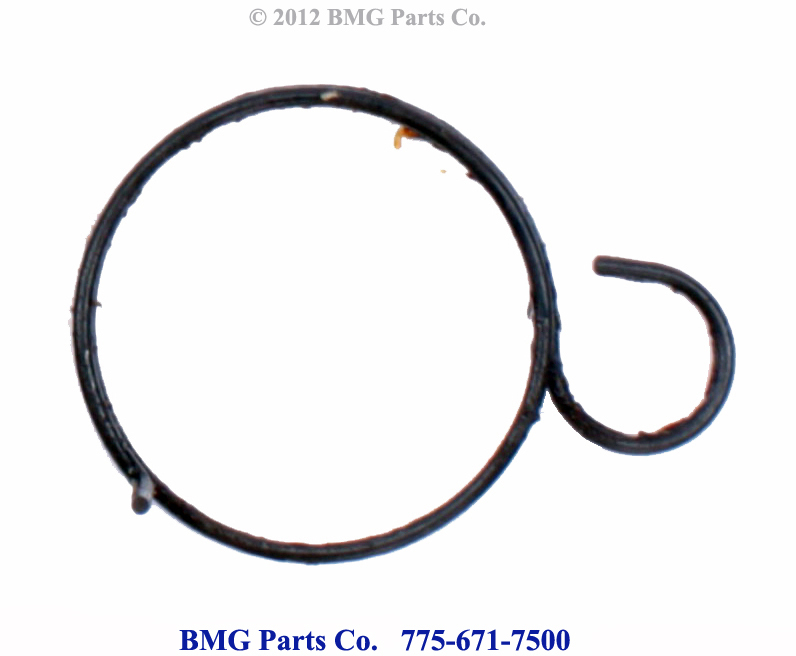 M2HB Belt Holding Pawl Spring, 1005-209-9691. US GI, NOS Condition. Cartridge Stops and Stripper, M2HB. M2HB Front Cartridge Stops and Link Stripper. US GI, NOS Condition. M2HB Front Cartridge Stop. US GI, NOS Condition. M2HB Rear Cartridge Stop. US GI, NOS Condition. M2HB Link Stripper. US GI, NOS Condition. Stop, Assembly, Rear, Right Side, M2HB. M2HB replacement right side rear stop assembly. US GI, NOS Condition. 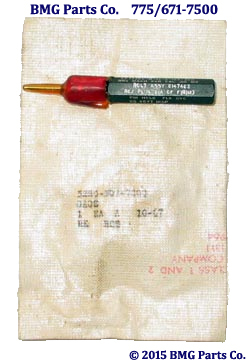 M2/M3 Cartridge Pawl. US GI, NOS Condition. M2HB Extractor Switch . US GI, Exc. Condition. M2HB Extractor Switch Nut. US GI, Exc. Condition. Pin, Retaining, Nut, Extractor, M2HB. 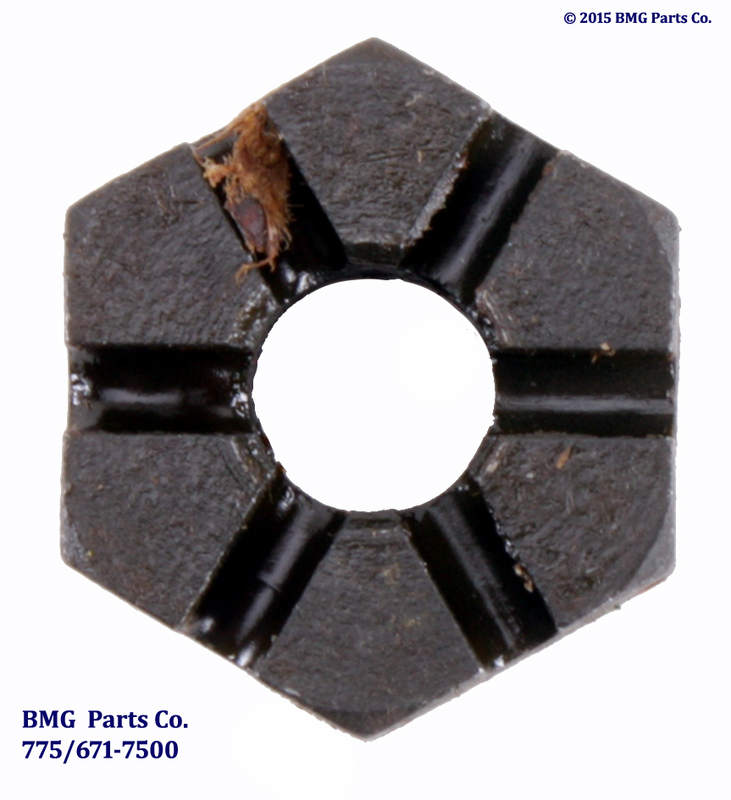 Extractor Nut Retaining Pin. US GI, NOS Condition. M2HB Cam Switch Spring. US GI, NOS Condition. M2HB Extractor Cam . US GI, Exc. Condition. 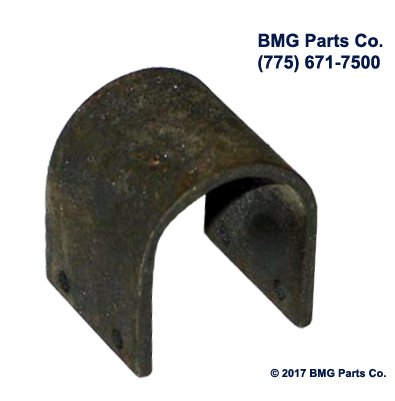 Front sight hood for the Browning M2 .50 caliber. US GI, NOS condition. M2HB Front Sight Blade. US GI, NOS Condition. M2HB Front Sight Pin. Two Required. US GI, NOS Condition. 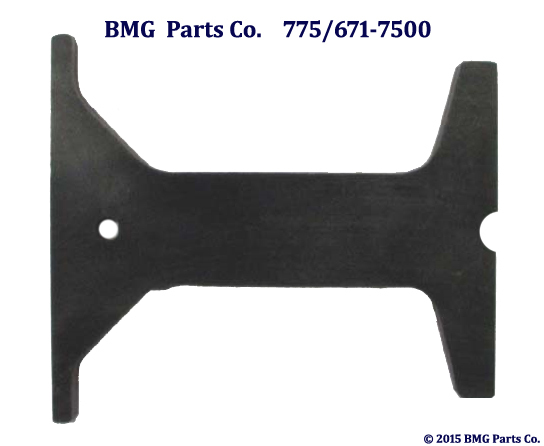 Front sight cover for the Browning M2 .50 caliber. For use on both the water cooled and aircraft guns. US GI, Excellent condition. 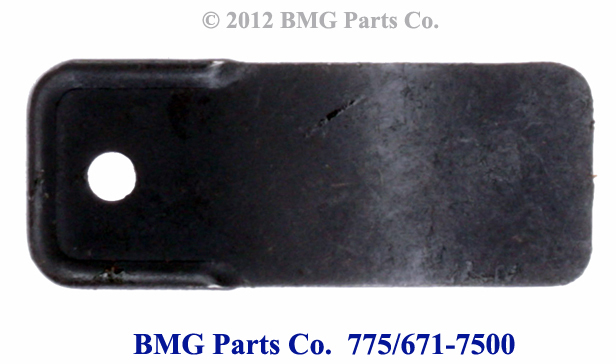 Rear sight cover for the Browning M2 .50 caliber. For use on the Twin/Quad Mounts, water cooled and aircraft guns. US GI, Excellent condition. Top Plate for the Browning M2 HB. US GI, NOS Condition. 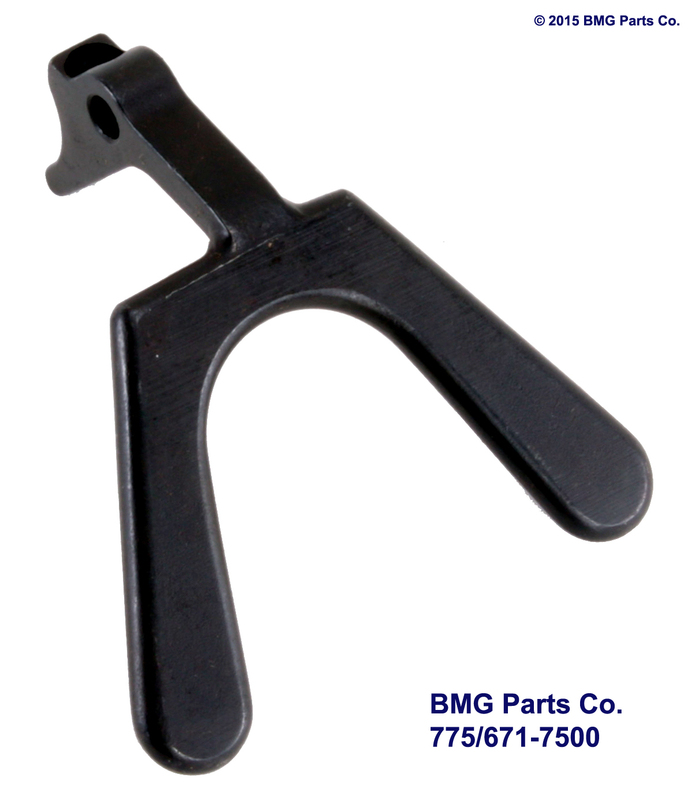 Bracket, Top Plate, Trigger Lever, M2. M2HB Trigger Lever Bracket, Top Plate. US GI, NOS Condition. M2HB Early Model Trigger Lever. US GI, NOS Condition. M2HB Trigger Lever, Late Style . US GI, Exc. Condition. M2HB Early Model Trigger Pin . US GI, NOS. Condition. Pin, Trigger Bar, Mid, M2HB. 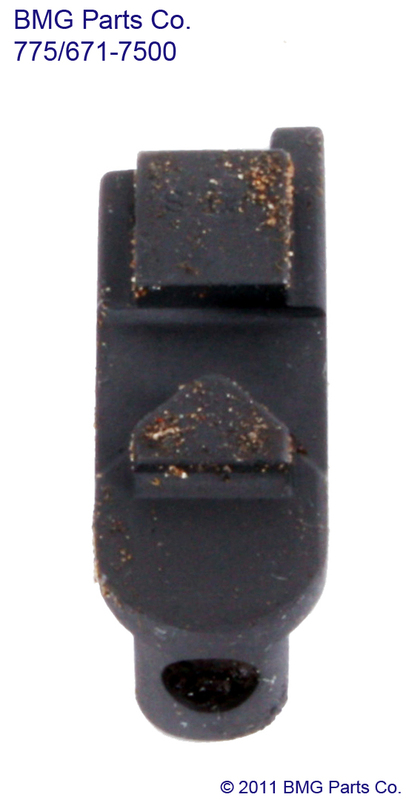 M2HB Mid Model Trigger Bar Pin. US GI, NOS Condition. Pin, Trigger Bar, Late, M2HB. 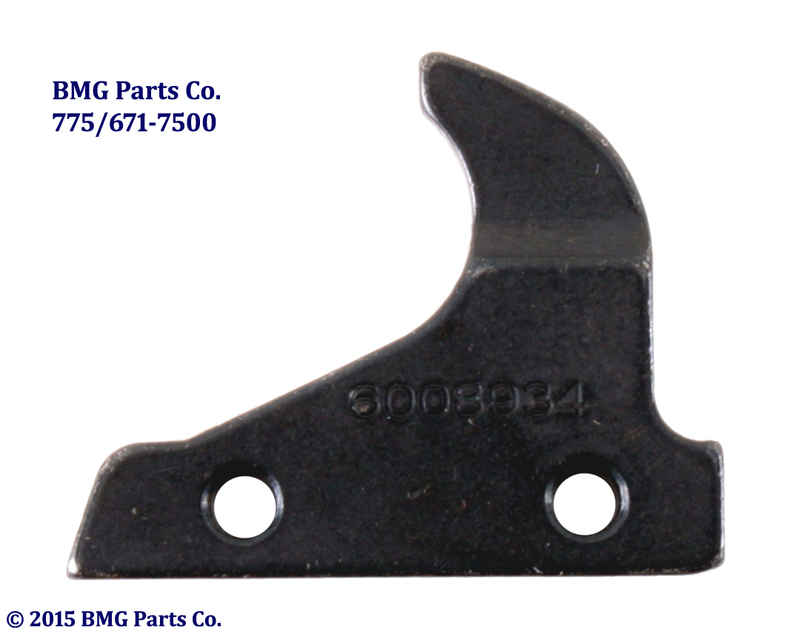 M2HB Late Model Trigger Bar Pin. US GI, NOS Condition. 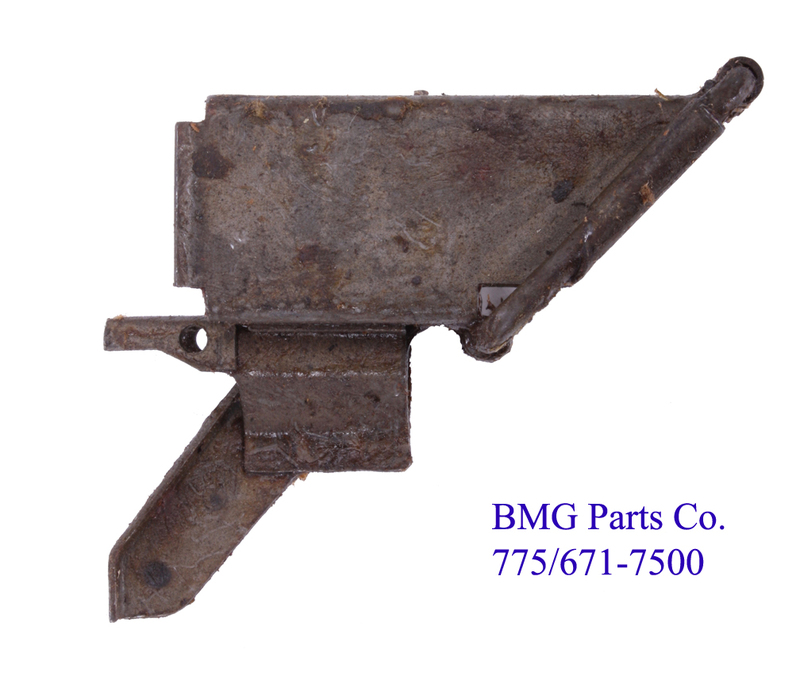 M2HB Bolt Latch Bracket. Mounts to top plate. US GI, Excellent condition. M2HB Bolt Latch, Assembly, complete. US GI, Excellent condition. M2HB Bolt Latch, with pins and spring. US GI, Excellent condition. 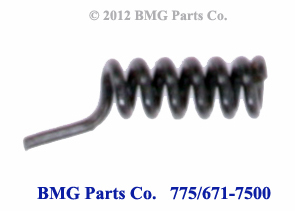 M2HB Bolt Latch Spring. US GI, NOS Condition. Spring, Plunger, Bolt Latch, M2HB. 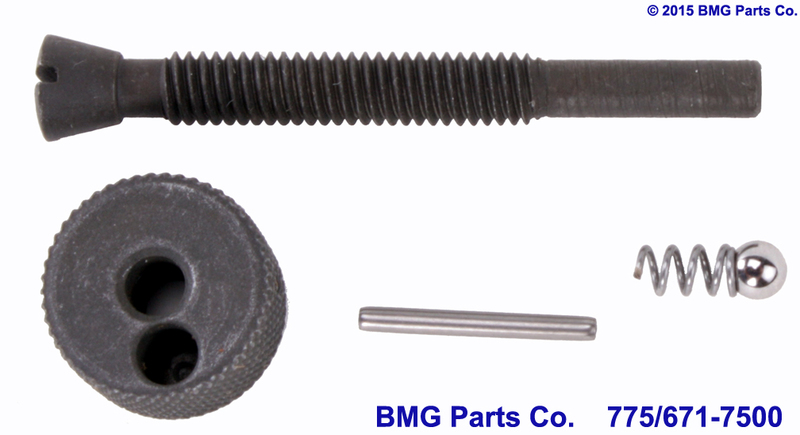 M2HB Bolt Latch Plunger Spring. US GI, NOS Condition. Stop Assembly, Adjustable, Trigger Lever, M2HB. 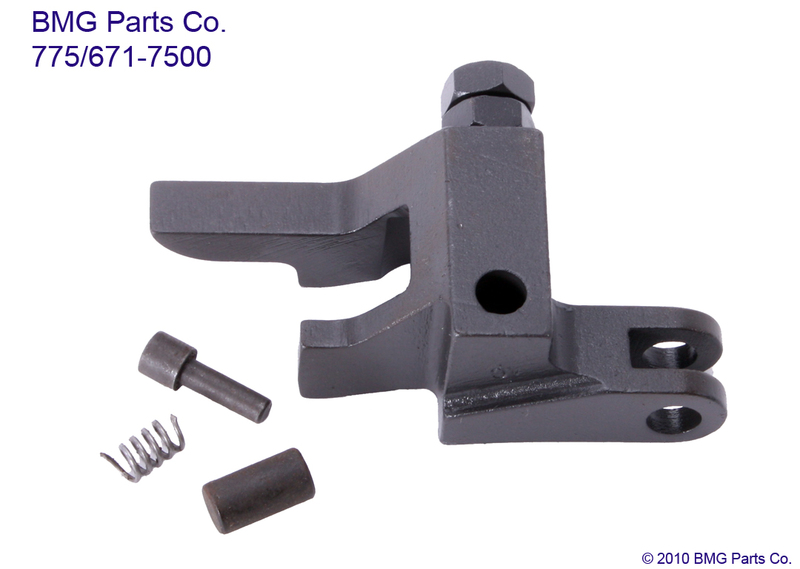 M2HB Adjustable Trigger Lever Stop Assembly (1005-00-726-5212), with Screw. US GI, Exc. Condition. Screw, Adjustable Trigger Stop, M2HB. M2HB Adjustable Trigger Stop Screw . US GI, NOS. Condition. Bottom Plate for the Browning M2 HB. US GI, NOS Condition. M2HB replacement Breech Lock Cam. US GI, Excellent Condition. Cam, Breech Lock, Bronze, M2HB. M2HB replacement Bronze Breech Lock Cam. US GI, Excellent Condition. Screw, Breech Lock Cam, M2HB. 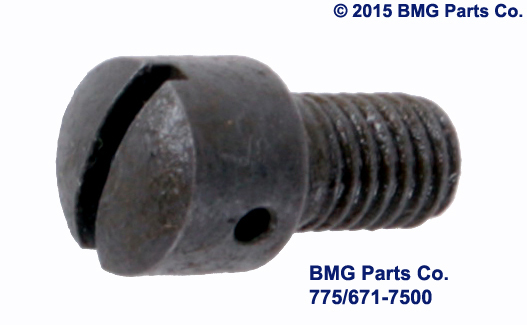 M2HB Breech Lock Cam Screw. US GI, Exc. Condition. Nut, Breech Lock Cam, M2HB. M2HB Breech Lock Cam Nut. US GI, Exc. Condition. Spring, Breech Lock, Cam, M2HB. M2HB Breech Lock Cam Spring. US GI, NOS Condition. 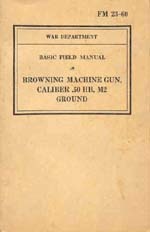 Manual, Ordnance Field Manual, ANM2, Browning Compilation. 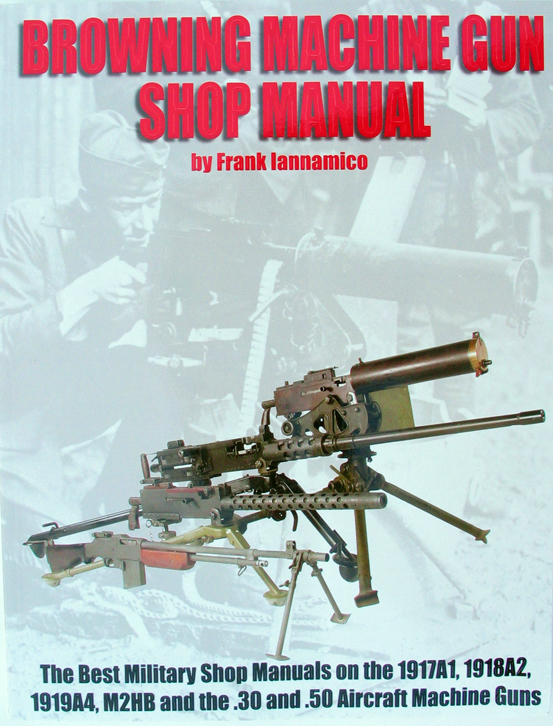 Browning Machine Gun Ordnance/Base Shop Data Manuals compiled into one book. US Department of Ordnance Field Manuals. 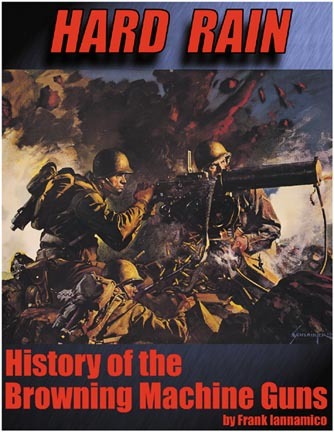 Includes: U.S. .30 BAR, .30 M1919A4, .30 M1917A1, .30 Aircraft M2, .50 Aircraft M2, .50 HB Ground M2 .30 BMG Depot Overhaul Manual, by Tessaro Publishing. New. Book, Browning .50 cal. Machine Guns, by Tom Laemlein. The Browning .50 Caliber Machine Guns, by Tom Laemlein The .50 caliber machine gun has been a supremely powerful element of the American small arms arsenal since its entry into service during the 1920s. Whatever the environment and whatever the mission, the Browning .50 caliber guns have proven themselves dominant on the battlefield. This powerful photo study, featuring many never before seen images, shows American .50 caliber weapons (both water-cooled and air-cooled) in action throughout WWII and the Korean War, showing the guns in multiple configurations and in every major combat theatre. 181 Pages, Soft Bound. More than 200 images. New Condition. Manual, Headspace and Timing, Cal.50. 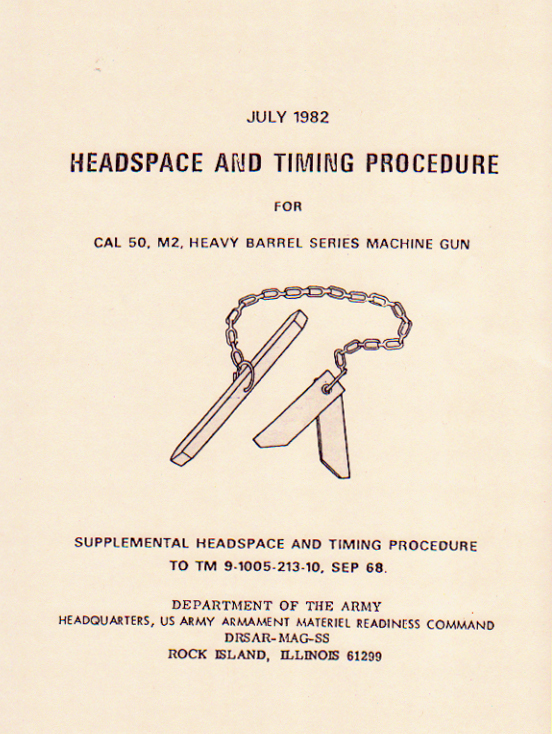 .50 caliber Headspace and Timing Manual, Supplemental. Reprint. Graphic Training Aid, M2, .50 cal. M2 .50 caliber Graphic Training Aid, May 1970. Reproduced in color and bound on heavy stock. Eighteen Pages. New Condition. $32.95 Plus Shipping. How the Gun Works, Caliber .50 M2 Browning Machine Gun. By the AC Spark Plug Division, General Motors Corporation, Frigidaire Division. Printed January 1943. Proper Headspacing, Caliber .50 M2 Browning Machine Gun. By the AC Spark Plug Division, General Motors Corporation, Frigidaire Division. Printed January 1943. 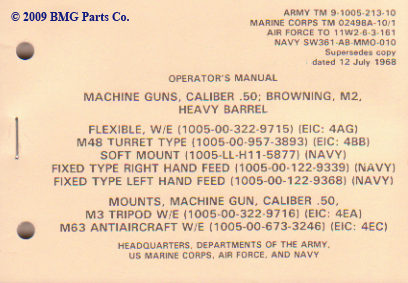 Basic Field Manual, Browning Machine Gun, Caliber .50, HB, M2 Ground. Printed 25 September, 1940. Browning Machine Gun, Caliber .50 HB, M2. Printed November, 1944. Technical Manual, Machine Gun, Caliber .50, Browning, M2, Heavy Barrel, Flexible, Turret, Soft Mount, Left and Right Hand Feed. Printed 15 March 2002.. Operator's Manual, Machine Gun, Caliber .50, Browning, M2, Heavy Barrel, Flexible, W/E (1005-322-9715), Mount Tripod, Machine Gun, Caliber .50, M3, W/E(1005-322-9716) Mount, Machine Gun, M63, W/E (1005-673-3246). Printed July, 1968. Operator's Manual, Machine Gun, Caliber .50, Browning, M2, Heavy Barrel, Flexible, W/E (1005-322-9715), Mount Tripod, Machine Gun, Caliber .50, M3, W/E(1005-322-9716) Mount, Machine Gun, M63, W/E (1005-673-3246). Printed August 1992. US GI, NOS condition..
Technical Manual, Organizational, Direct Support, General Support, and Depot Maintenance Manual, Including Repair Parts and Special Tools List. Machine Gun, Caliber .50: Browning, M2, Heavy Barrel, Flexible, W/E (1005-322-9715), Mount, Tripod, Machine Gun: M3, W/E (1005-322-9716), Mount,Machine Gun: Antiaircraft, M63, W/E (1005-673-3246), Machine Gun,Caliber .50: Browning Heavy Barrel, Flexible For Vehicles(1005-726-5636), Machine Gun, Caliber .50: Browning, M2, Heavy Barrel, Turret Types For: M1 Cupola (1005-693-4854), M13 Cupola(1005-606-8412), M45 Series (1005-602-2105), M48 Tank (1005-957-3893)Commander's Copula (1005-013-6944). Printed July, 1968. 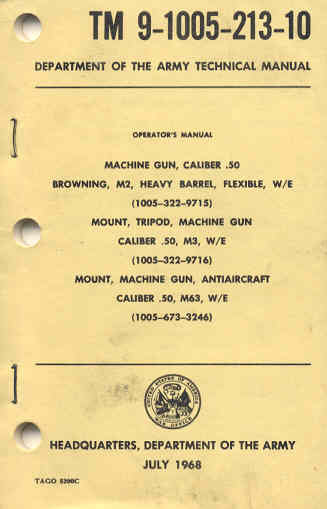 Operators Manual, Machine Gun, Caliber .50, Fixed, M85 (1005-00-690-2790). Printed November, 1984. 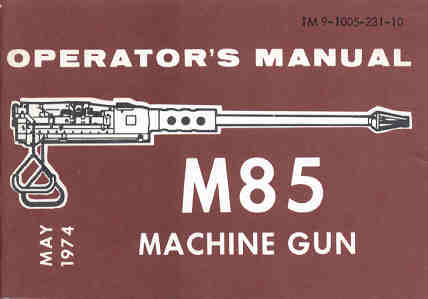 Operators Manual, Machine Gun, Caliber .50, Fixed, M85. Printed May 1974. 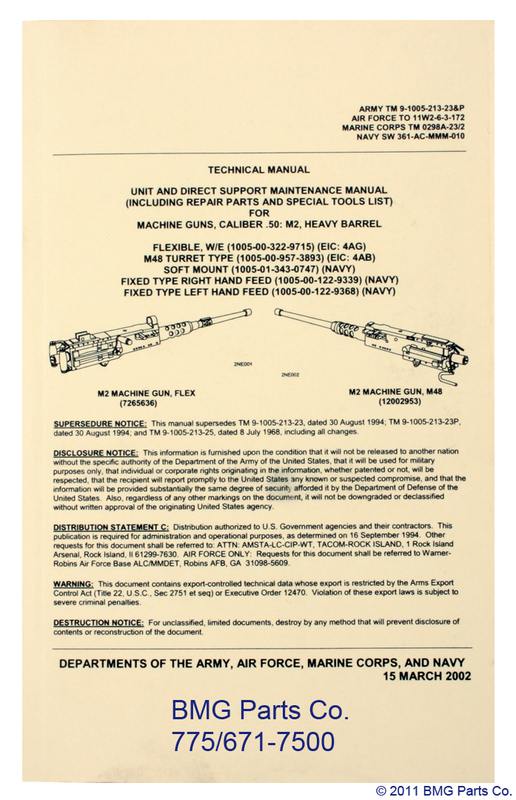 Technical Manual,Organizational, Direct Support, And General Support Maintenance Manual (Including Repair Parts and Special Tools List (Including Depot Maintenance Repair Parts)), For Machine Gun, Caliber .50, Fixed, M85 (1005-00-690-2790). Printed July, 1985. 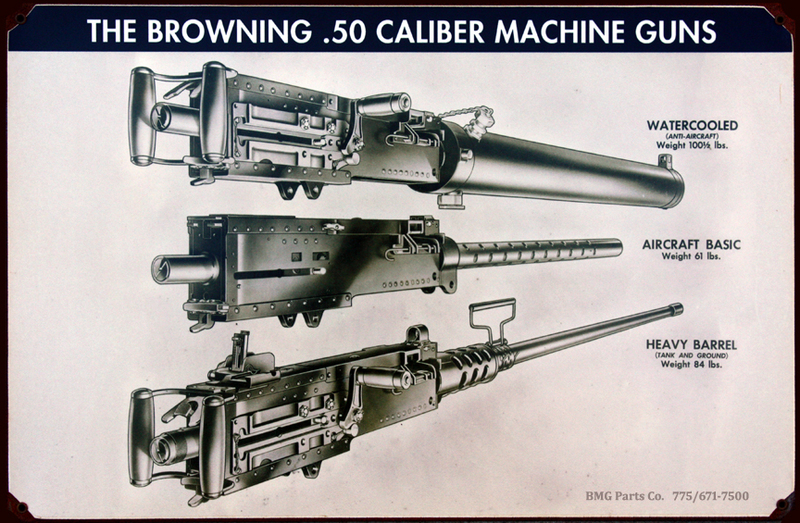 Browning Machine Gun Caliber .50, AN-M2 Aircraft, Basic. Printed January, 1947. 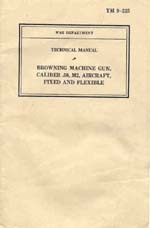 Technical Manual, Browning Machine Gun Caliber .50, M2 Aircraft, Fixed and Flexible. Printed November, 1940. Browning Machine Gun Caliber .50 Heavy Barrel, M2. Printed September, 1984. Antiaircraft Artillery Field Manual, Service Of The Piece Caliber .50 AA Machine Gun. Printed 4 October, 1943. 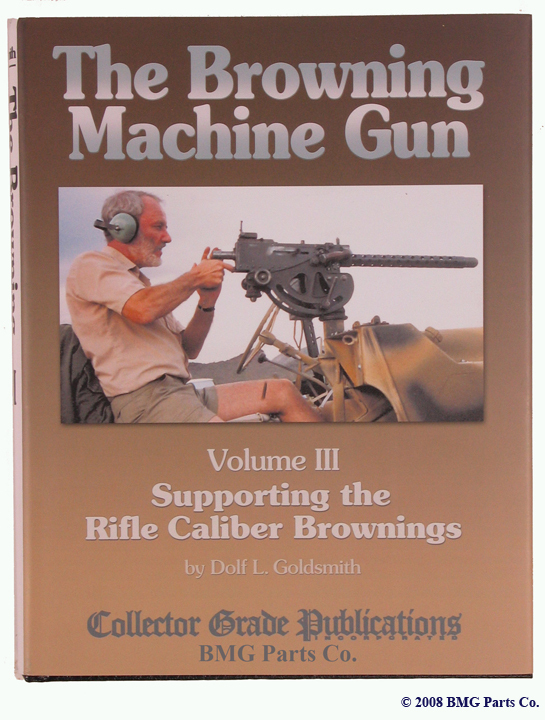 History of the Browning Machine Gun, Volume I. By Dolf Goldsmith. Exciting new Browning machine gun book, packed with years of research. Collectable, Autographed by the author. Autographed Edition: $79.95 US, Plus Shipping. Rifle Caliber Brownings Abroad, Volume II. By Dolf Goldsmith. Exciting new Browning machine gun book, packed with years of research. Collectable, Autographed by the author. Autographed Edition: $69.95 US, Special Collectors Numbered and Autographed Edition: $79.95, Plus Shipping. Technical aspects of the Browning Machine Gun, Volume III. By Dolf Goldsmith. 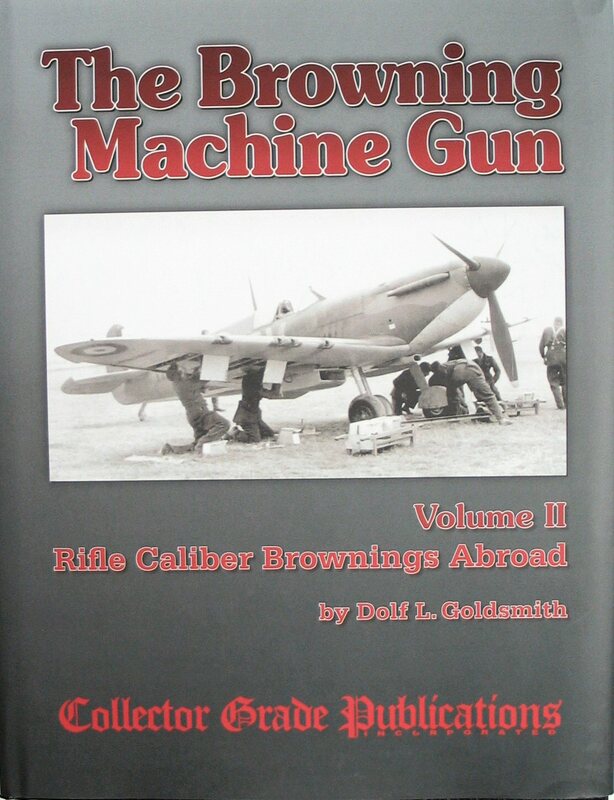 Exciting new Browning machine gun book, packed with years of research. Collectable, SIGNED by the author. Autographed Edition: $79.95, US, Plus Shipping. Semper Fi FIFTY. By Frank Iannamico and Dolf Goldsmith. 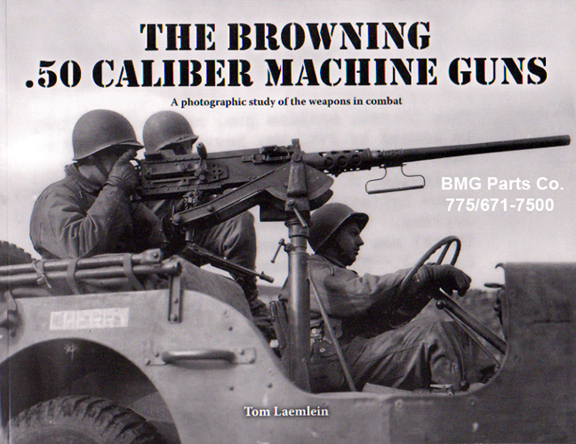 Exciting new Browning machine gun book, packed with years of research. 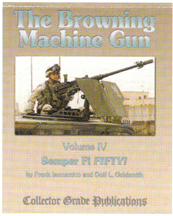 This fine collectable includes 448 pages and 510 Illustrations of the Browning fifty caliber machine gun. Deluxe Edition: $74.95, US, Plus Shipping. Hard Rain. 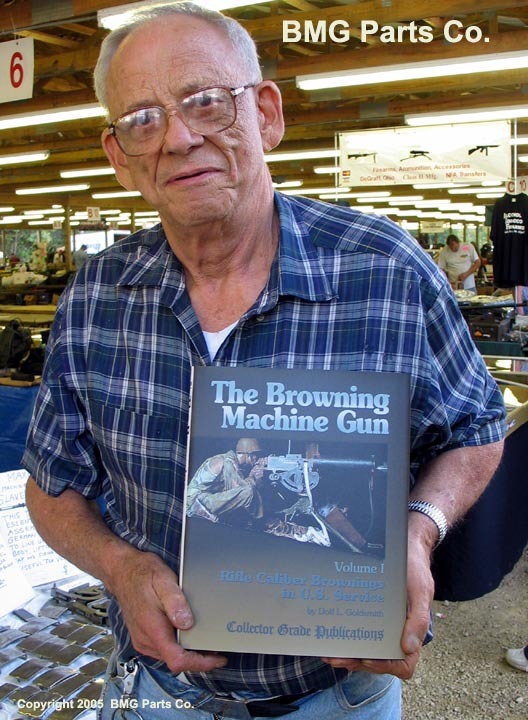 History of the Browning Machine Guns, by Frank Iannamico. Published by Moose Lake Publishing, LLC. New condition. Tin Sign. 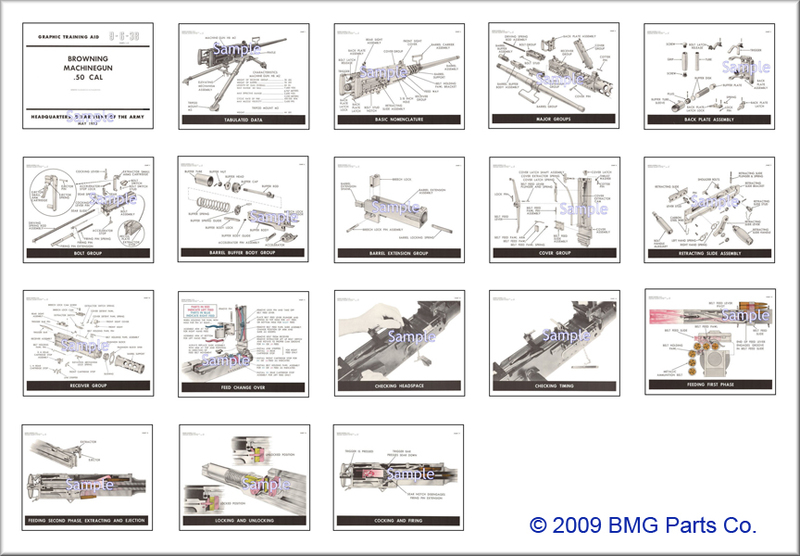 "M2HB Components" A nomenclature/drawing poster, which identifies components of the M2HB machine gun. 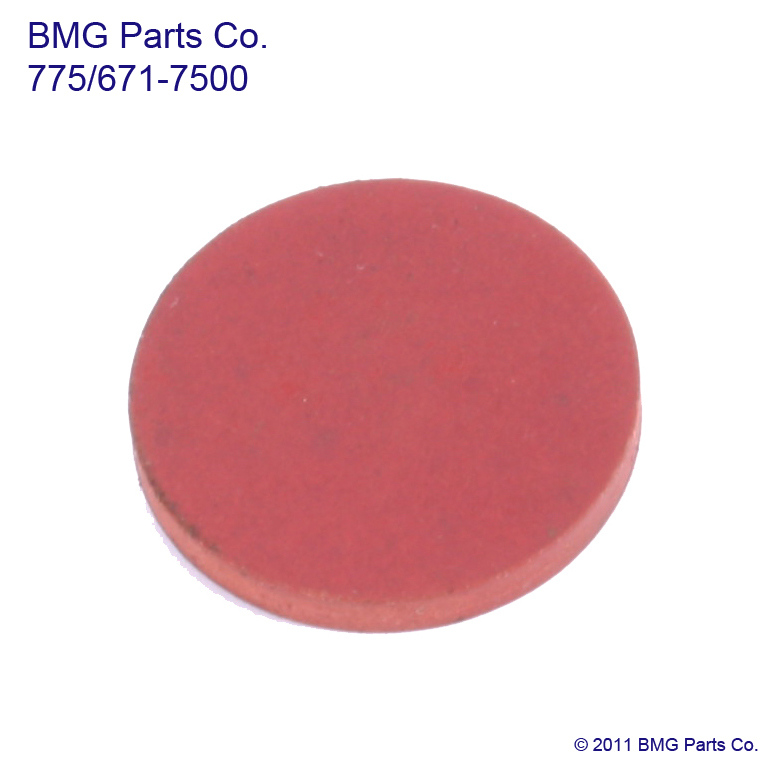 17 1/2" x 11 5/16" x 1/16", Color, Weight = .75 lb. 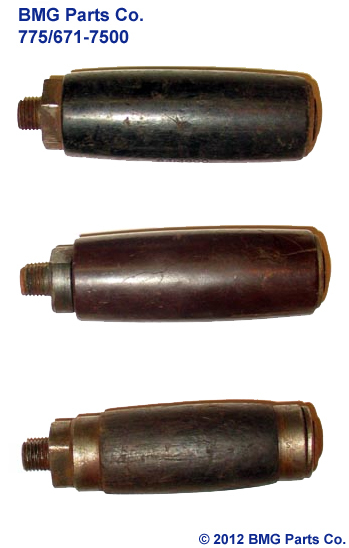 TIN, 'M2 .50 caliber variations. Tin Sign. "M2HB, M2 Aircraft and M2 Watercooled machine guns. 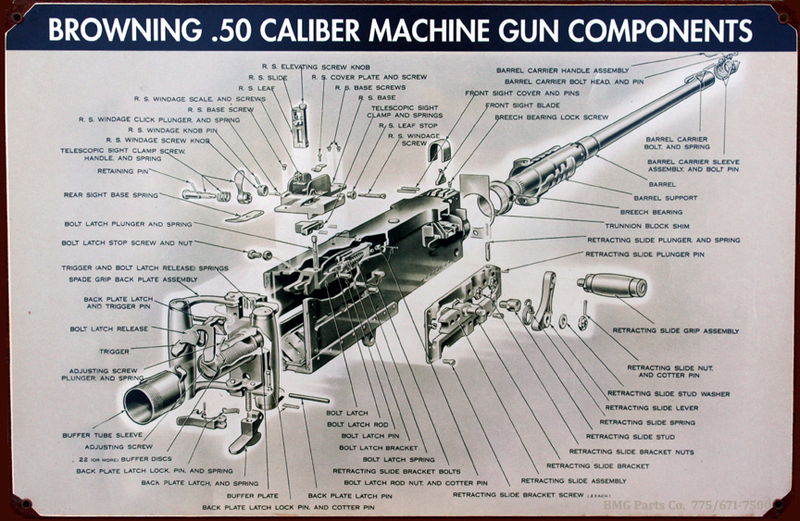 A poster, which identifies the variants of the M2HB machine gun. 17 1/2" x 11 5/16" x 1/16", Color, Weight = .75 lb.